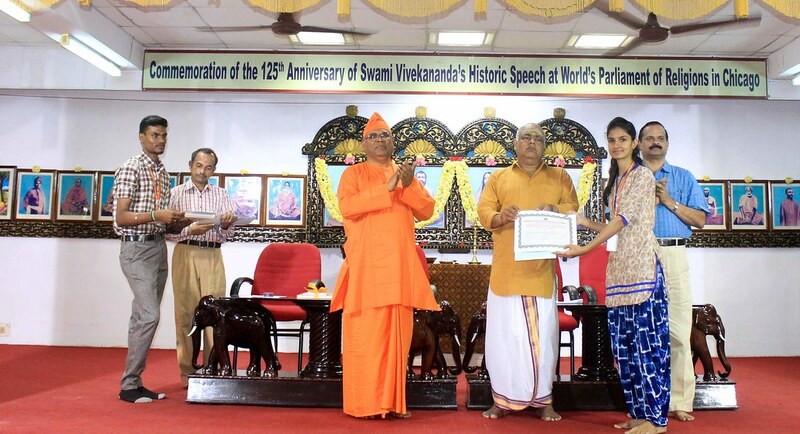 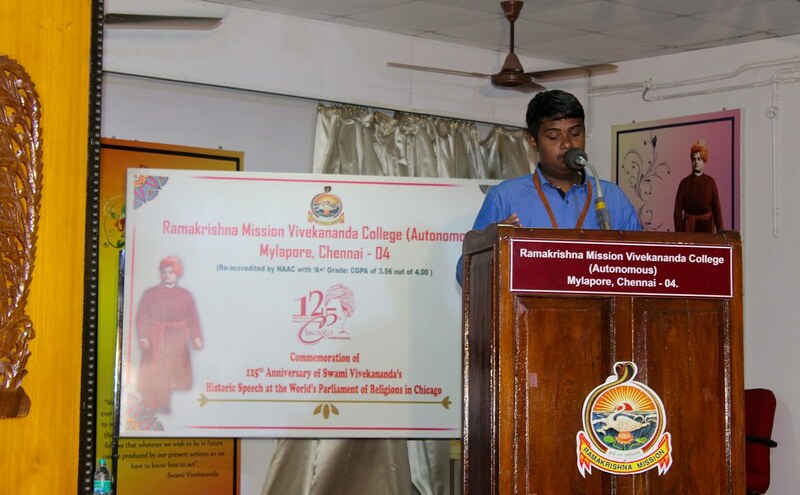 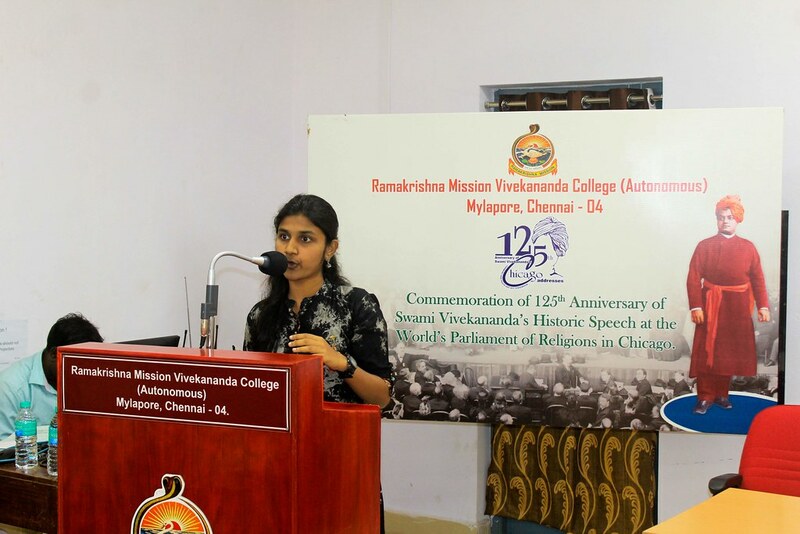 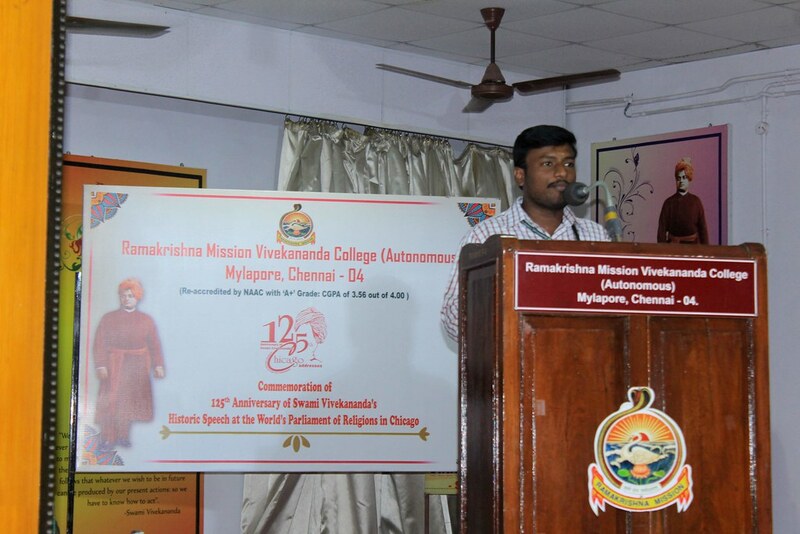 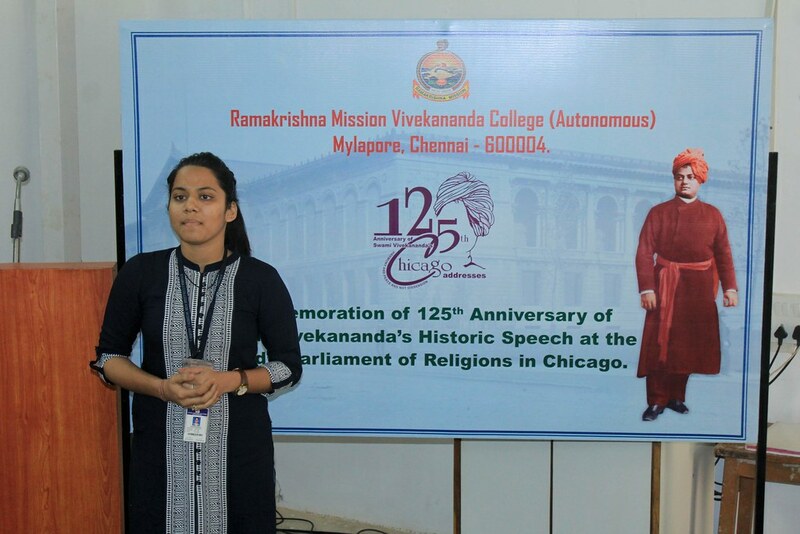 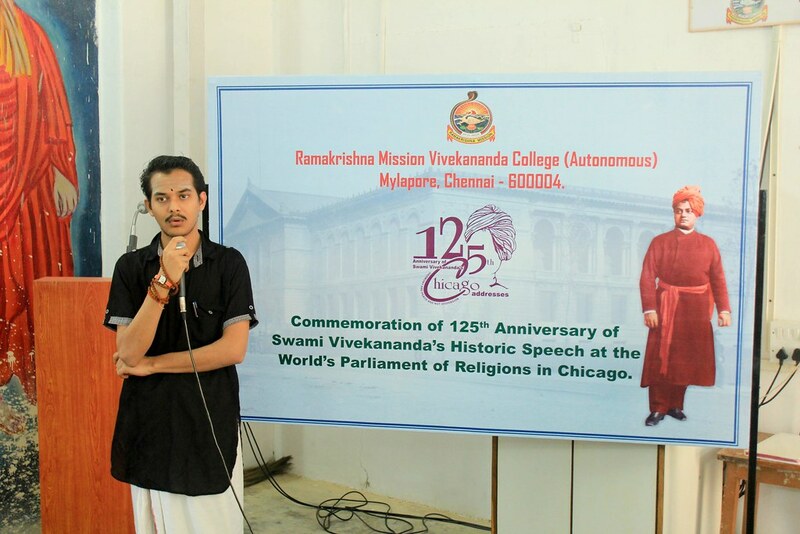 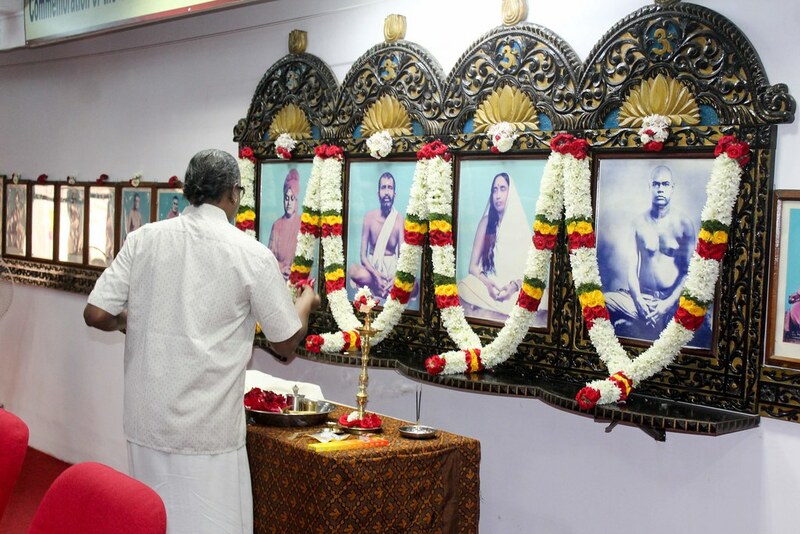 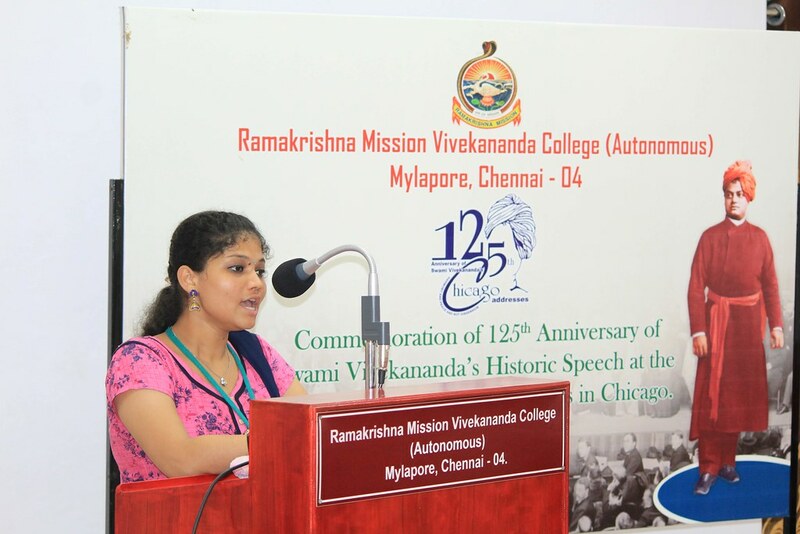 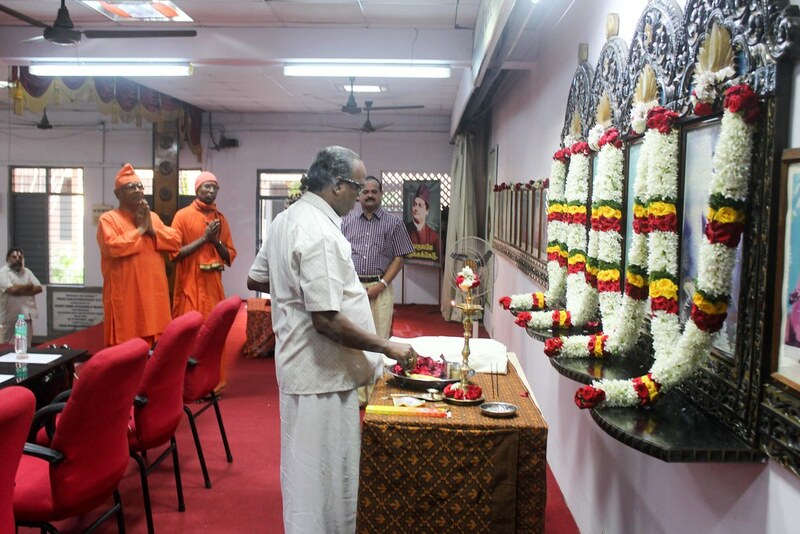 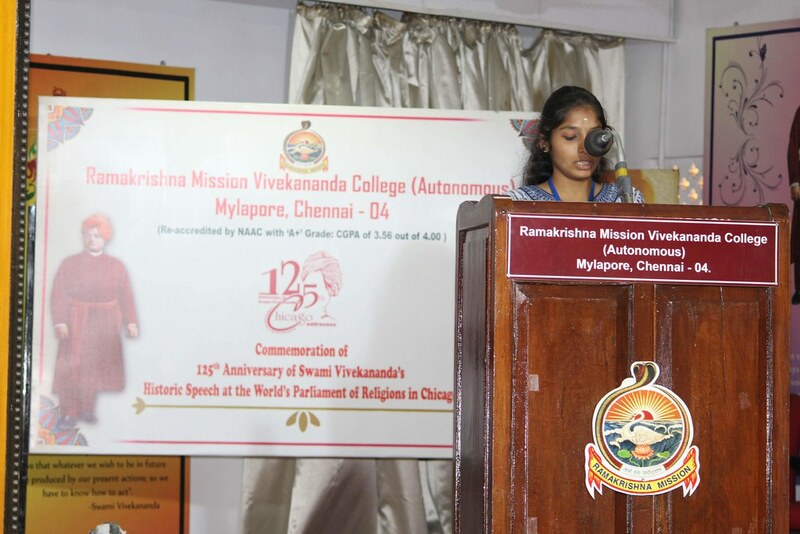 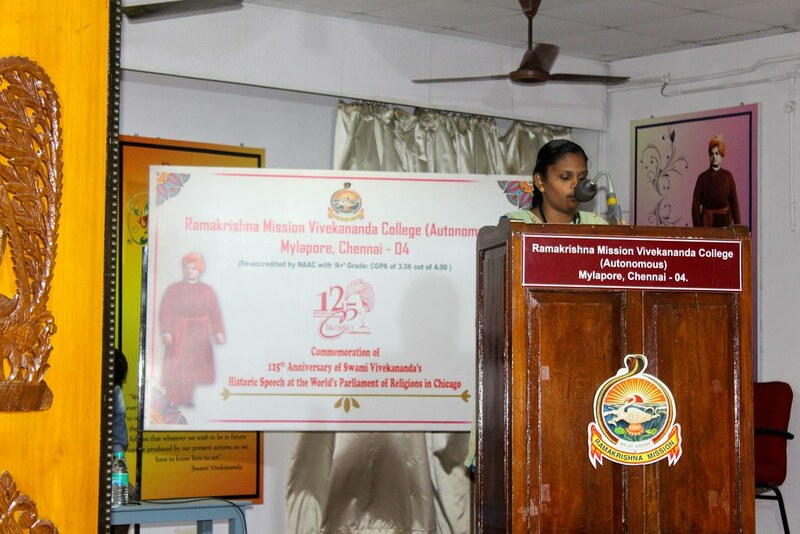 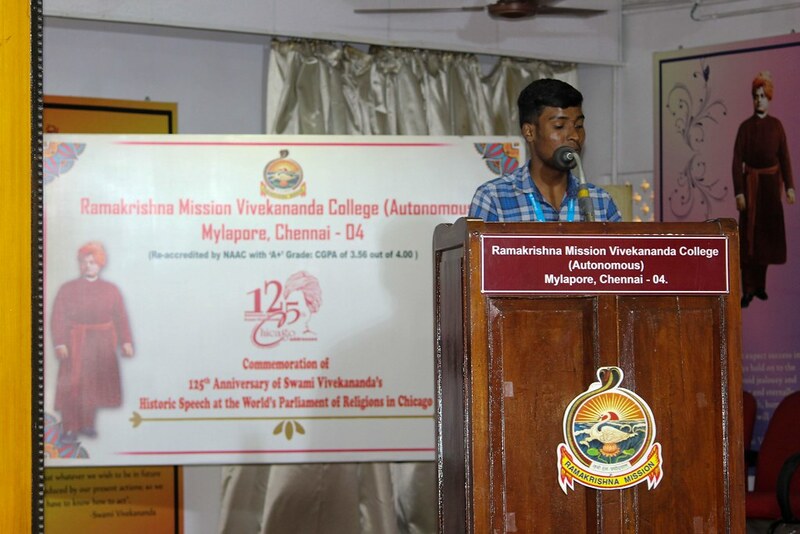 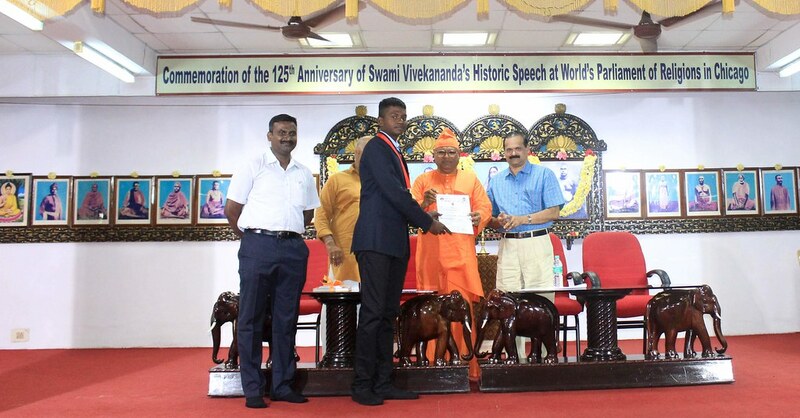 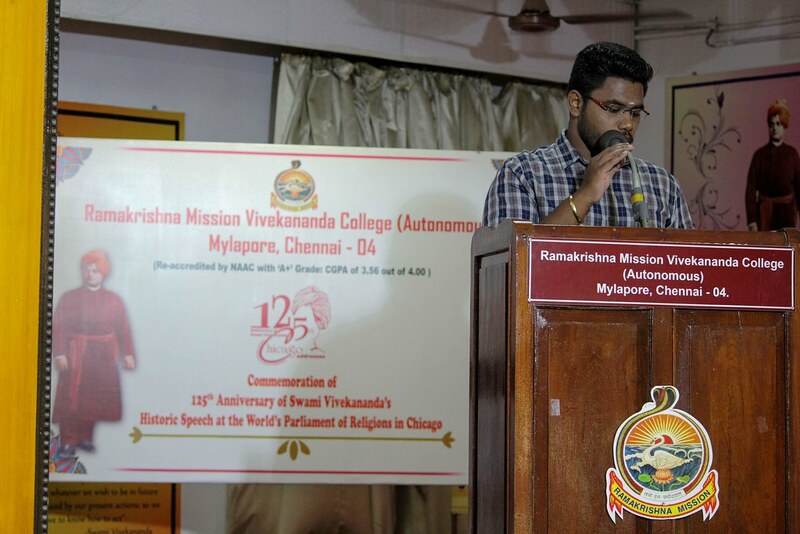 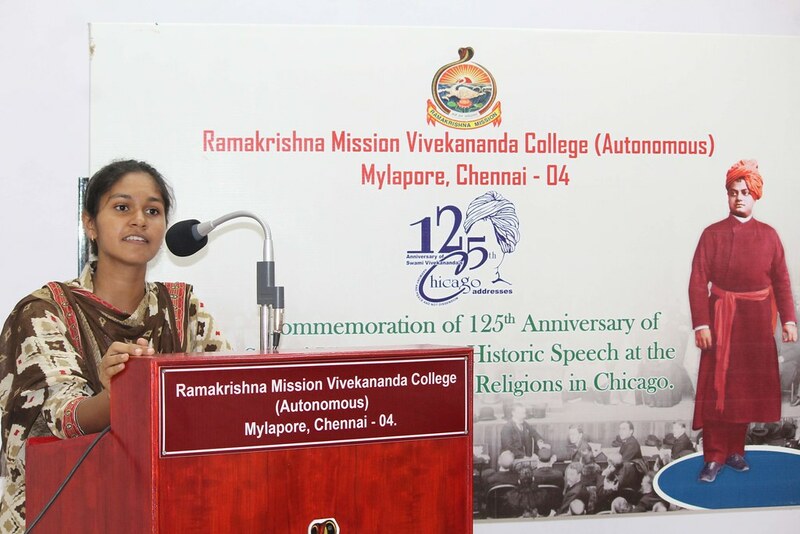 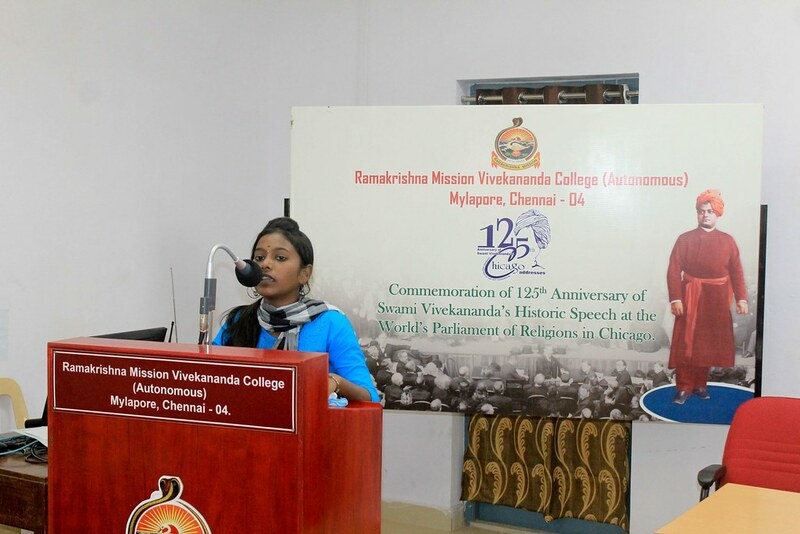 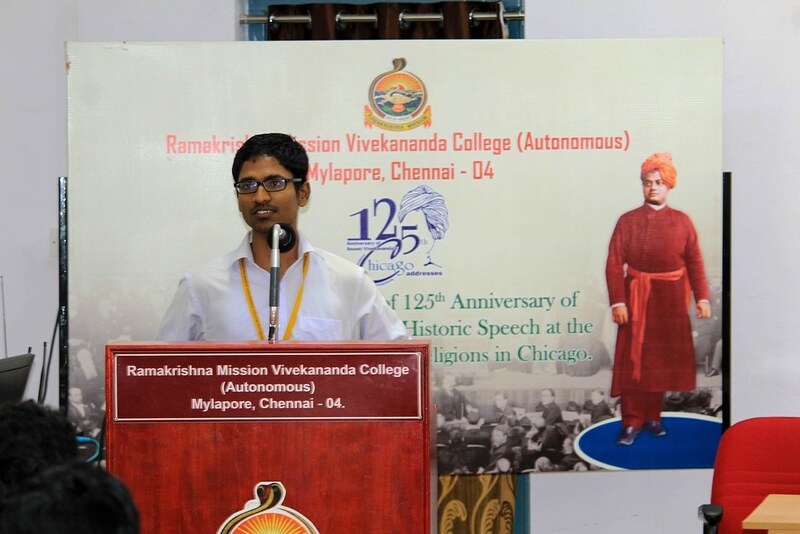 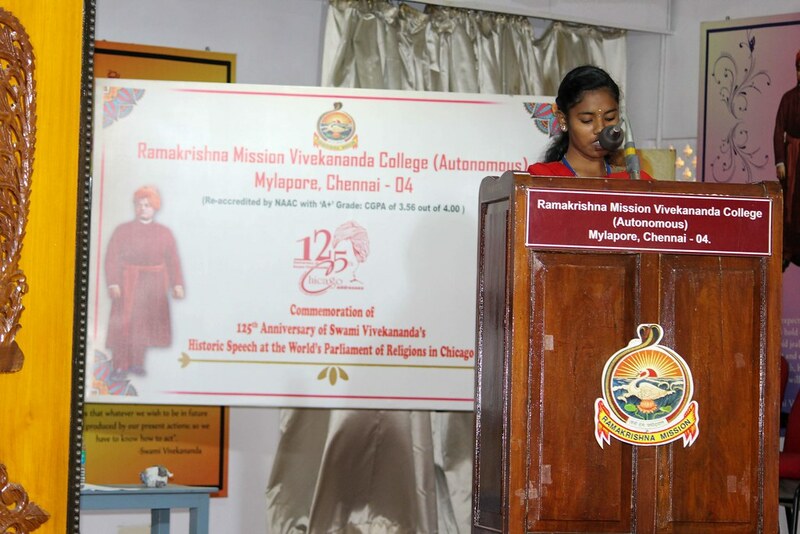 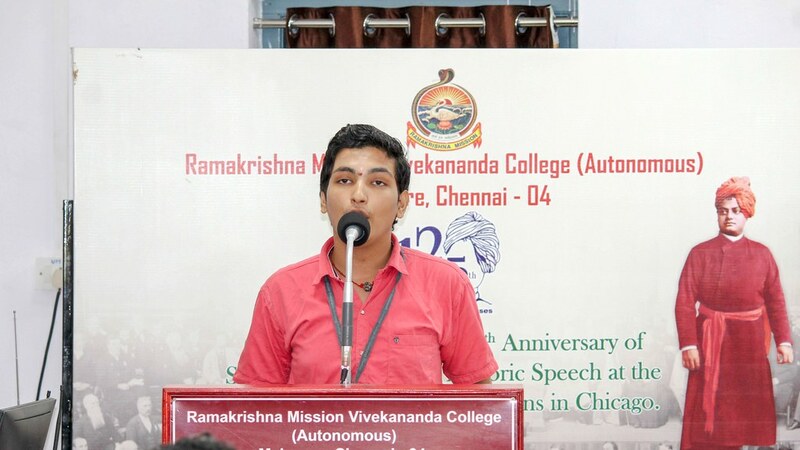 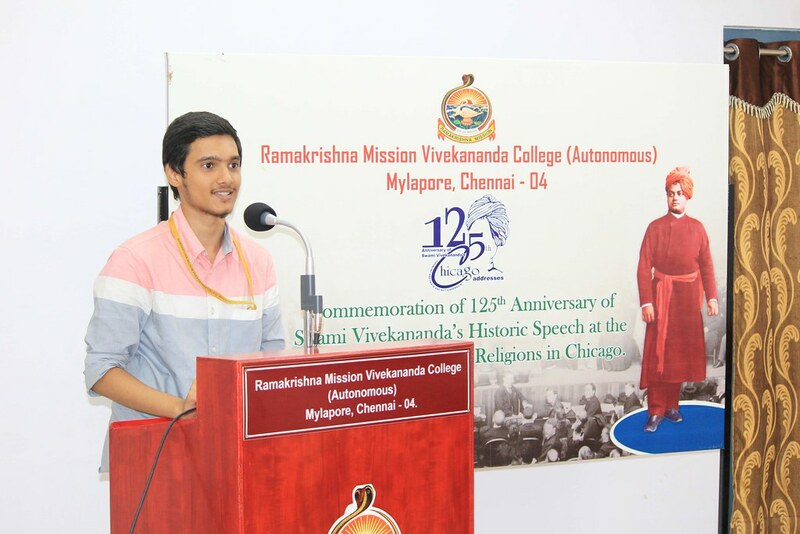 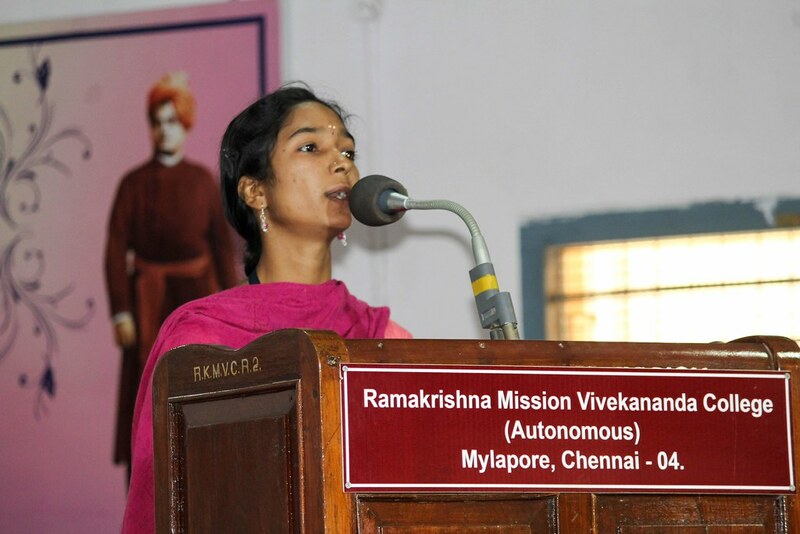 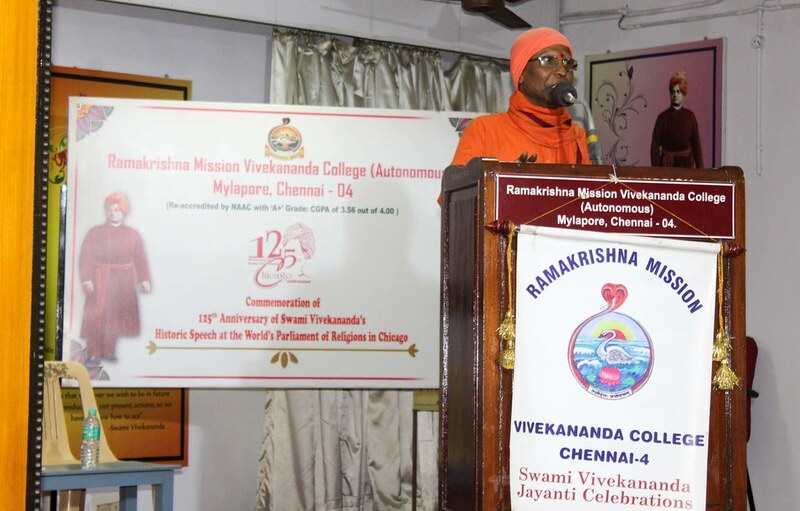 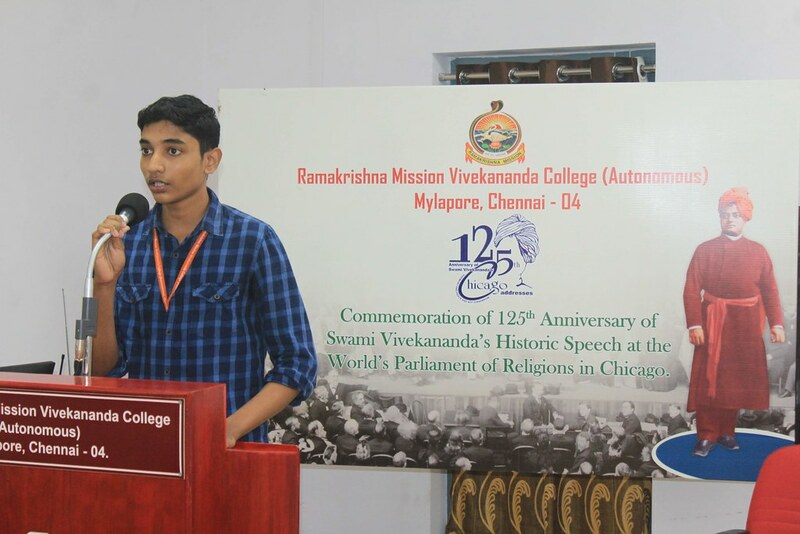 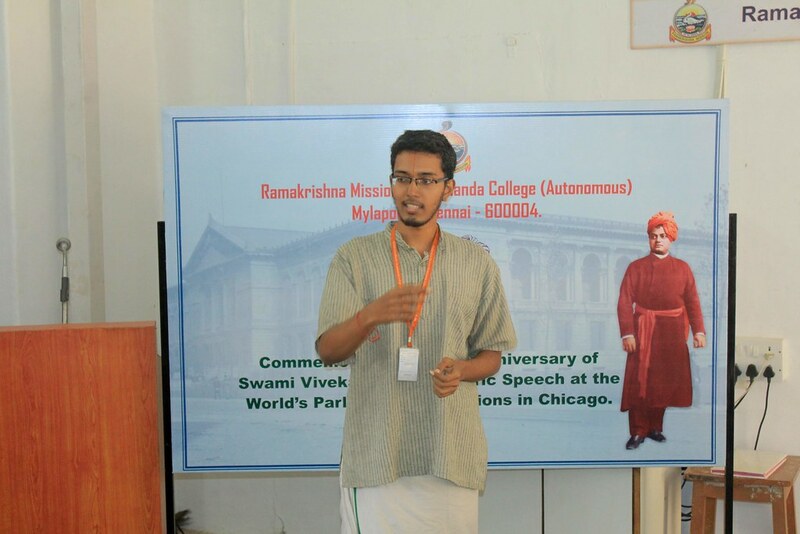 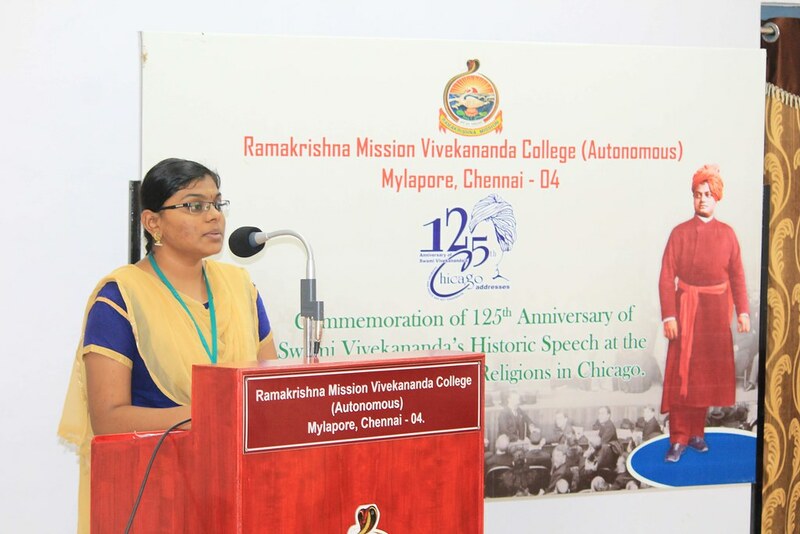 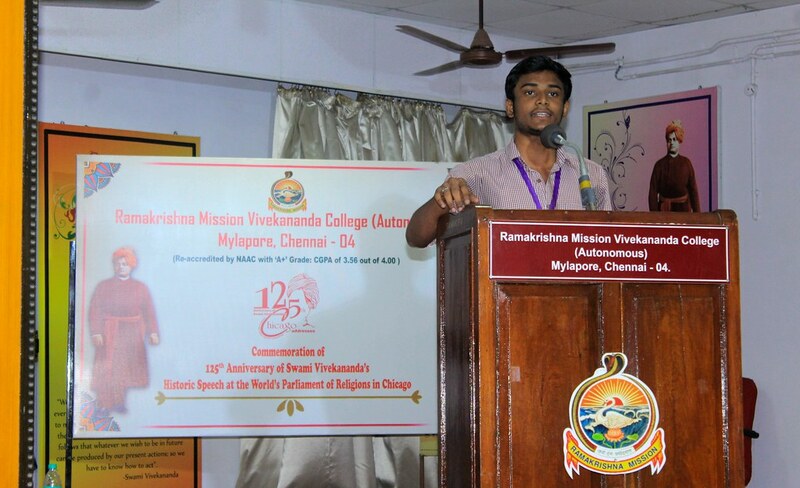 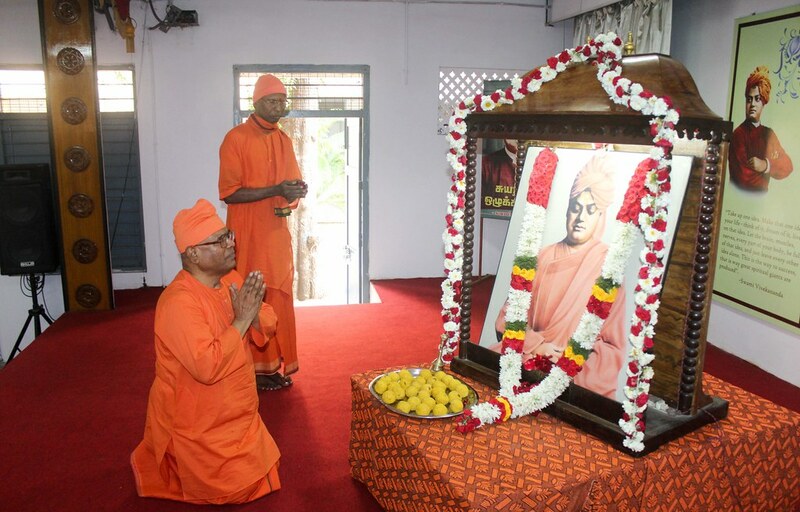 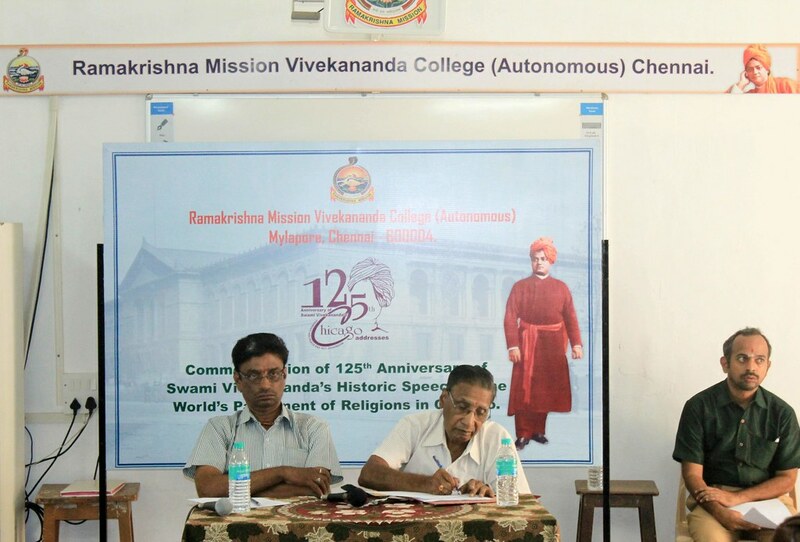 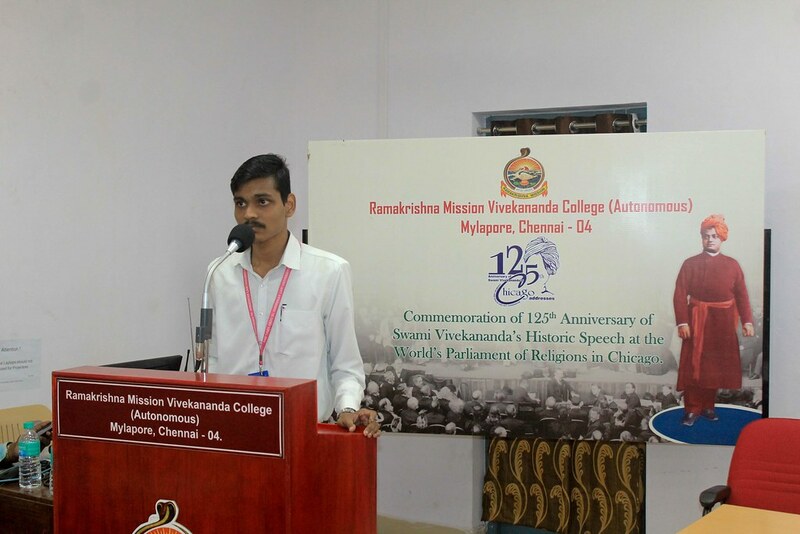 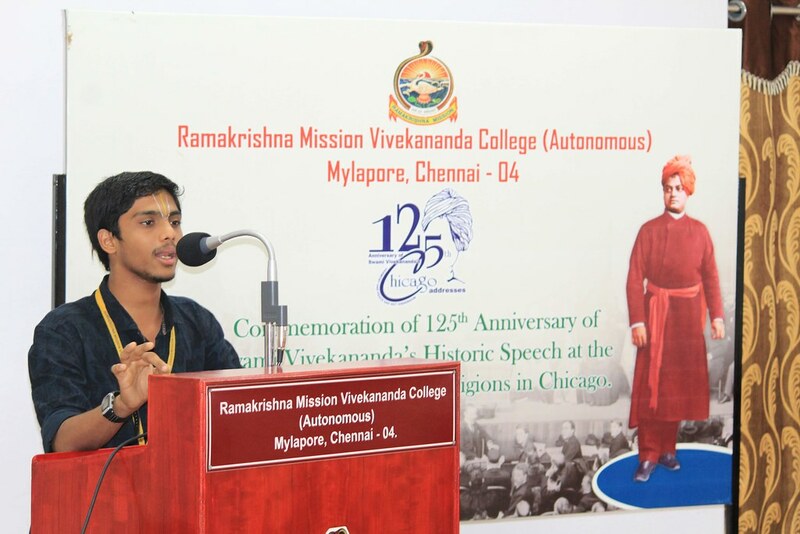 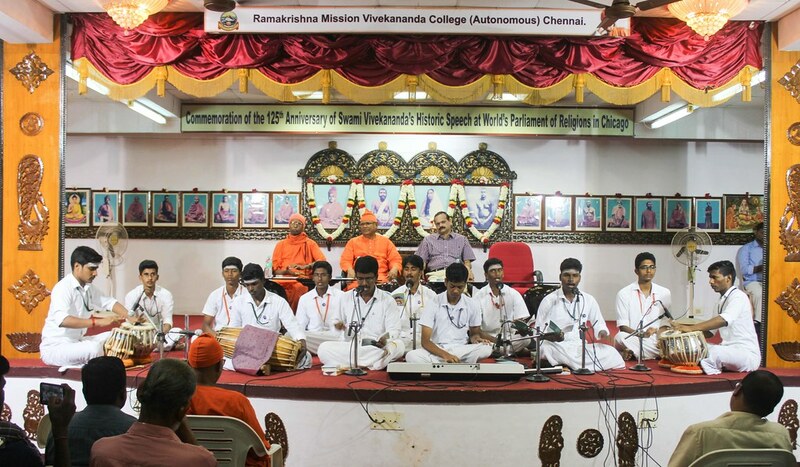 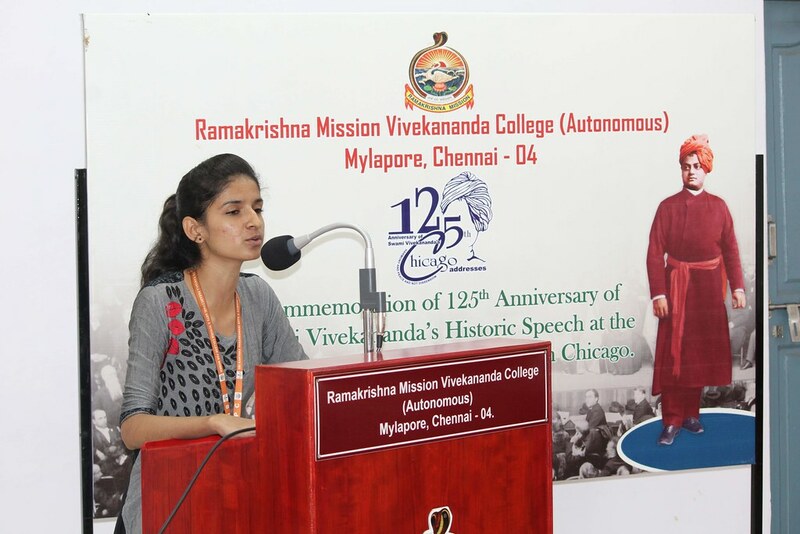 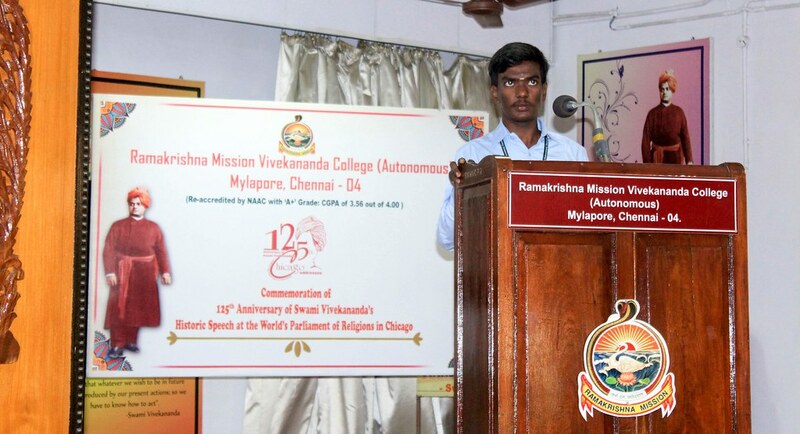 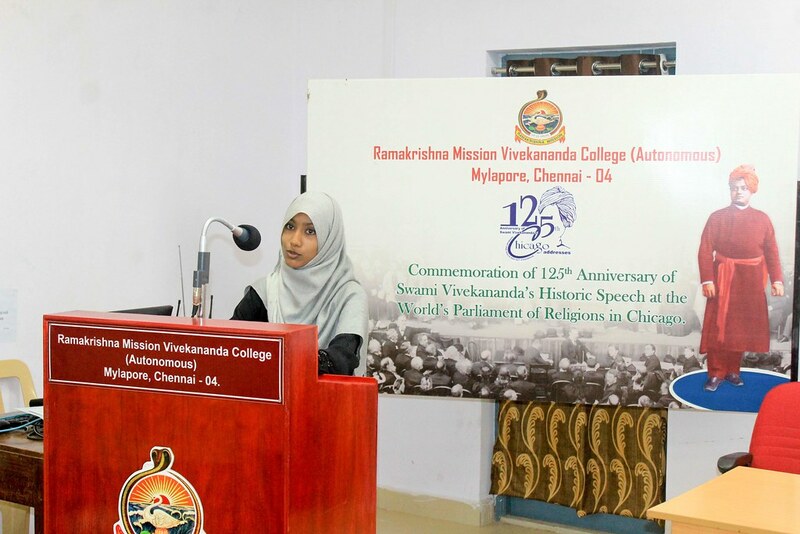 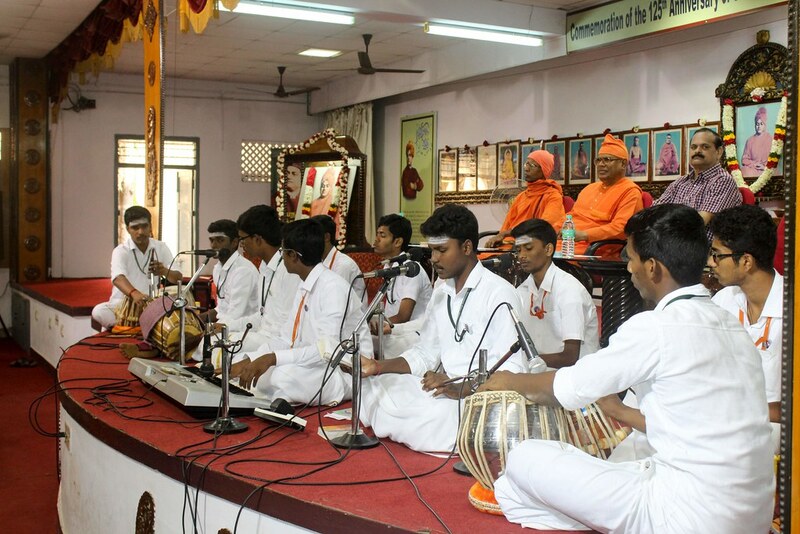 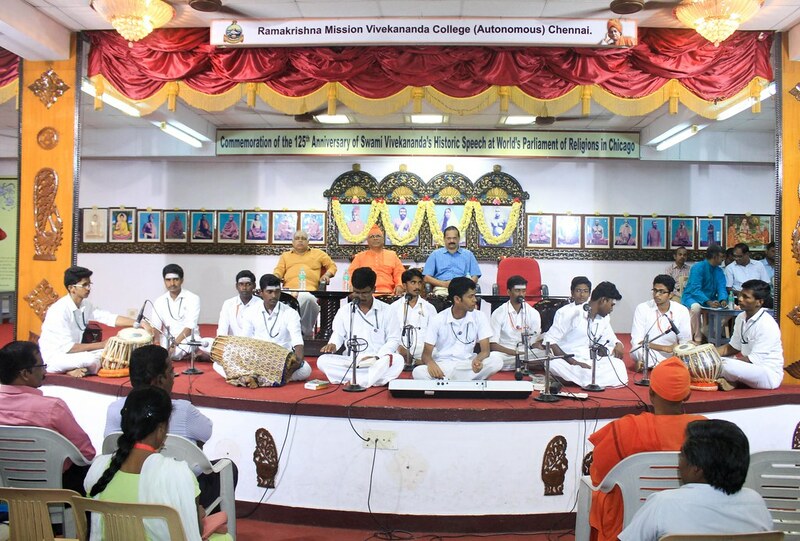 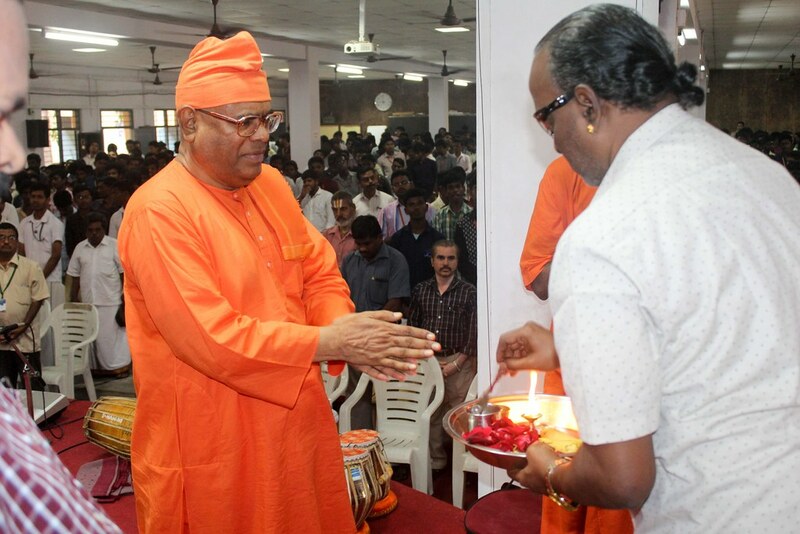 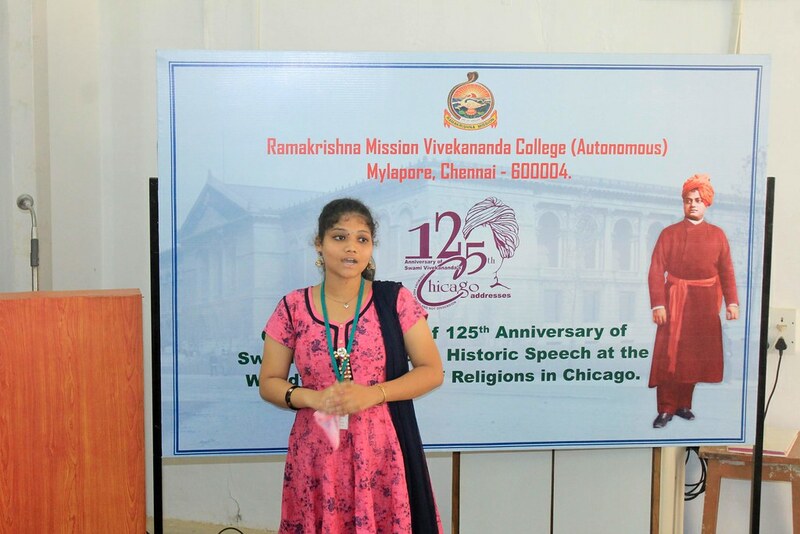 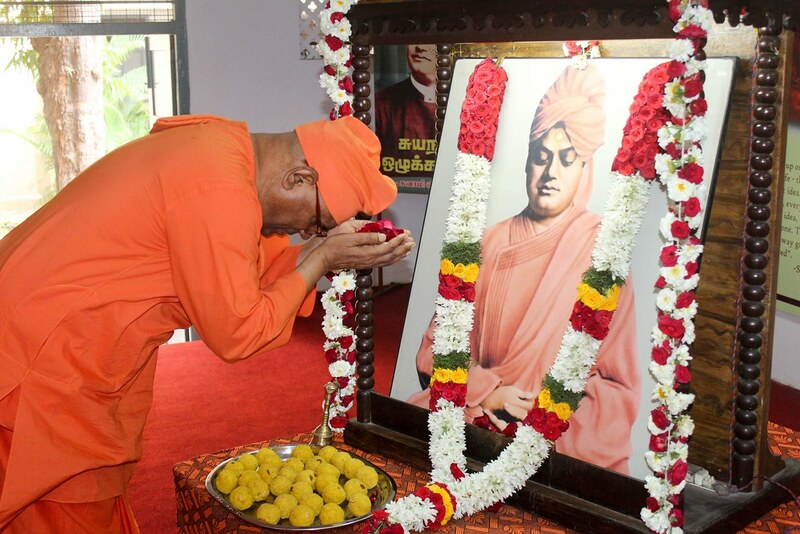 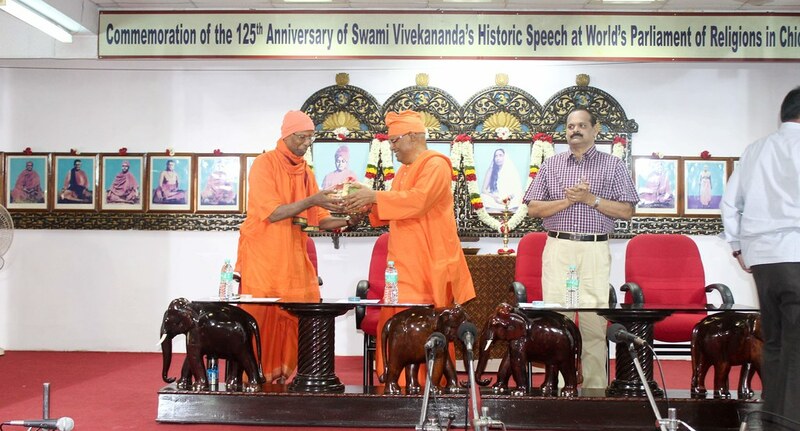 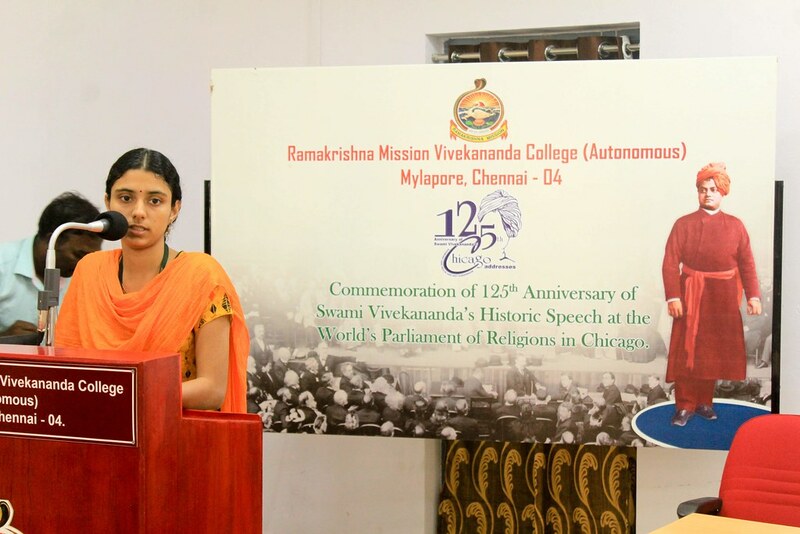 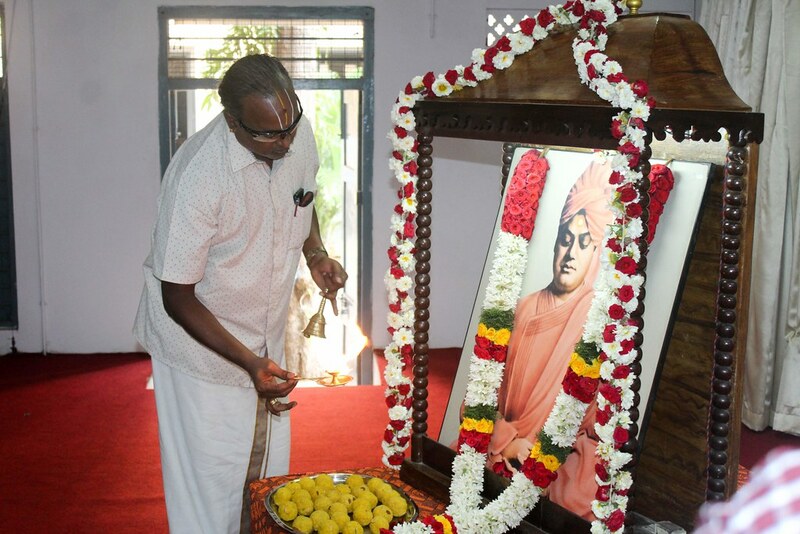 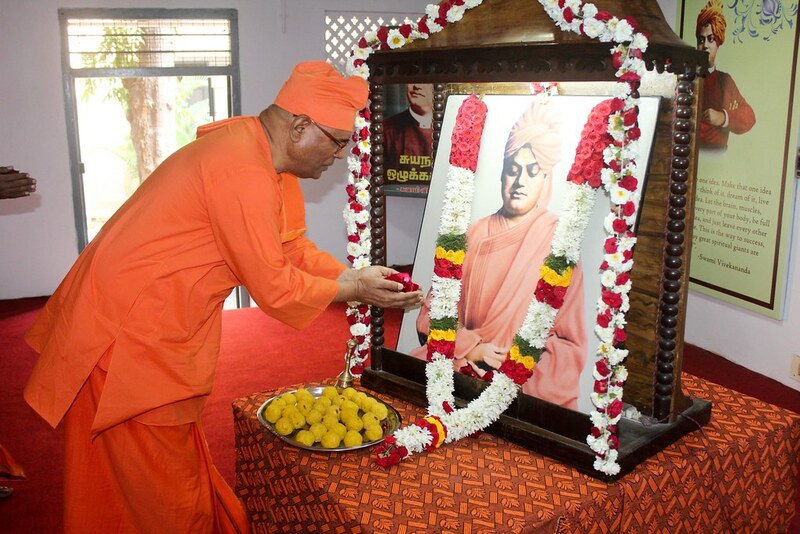 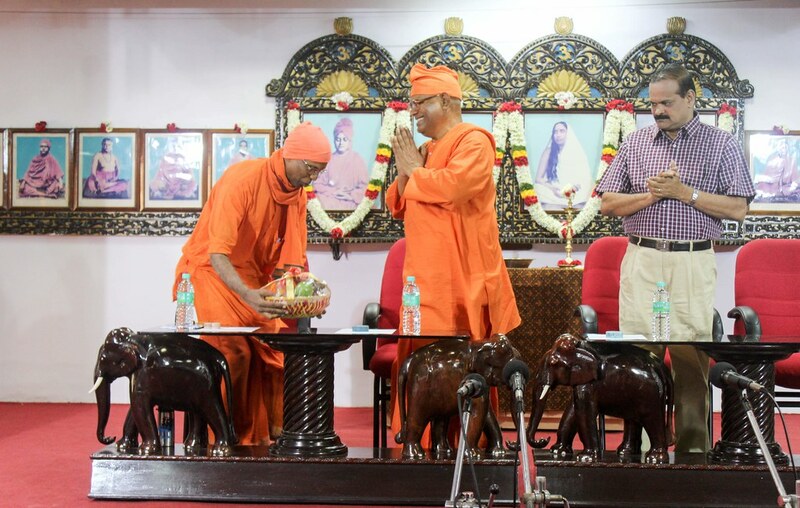 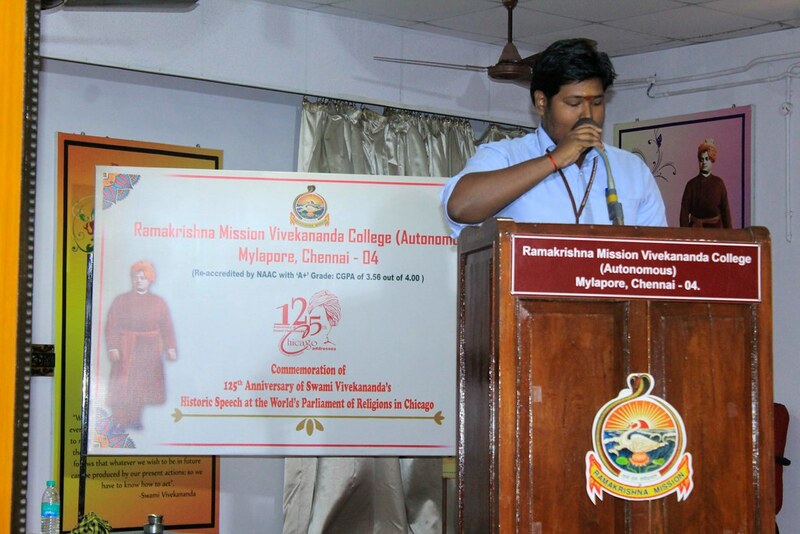 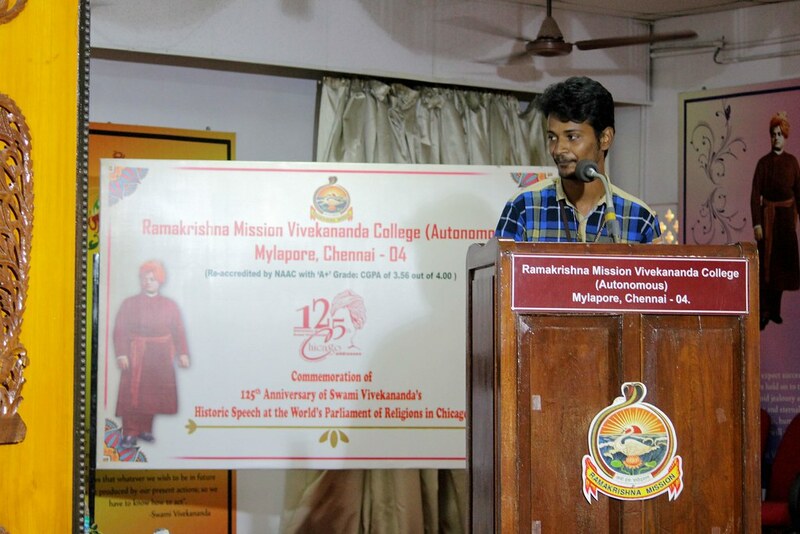 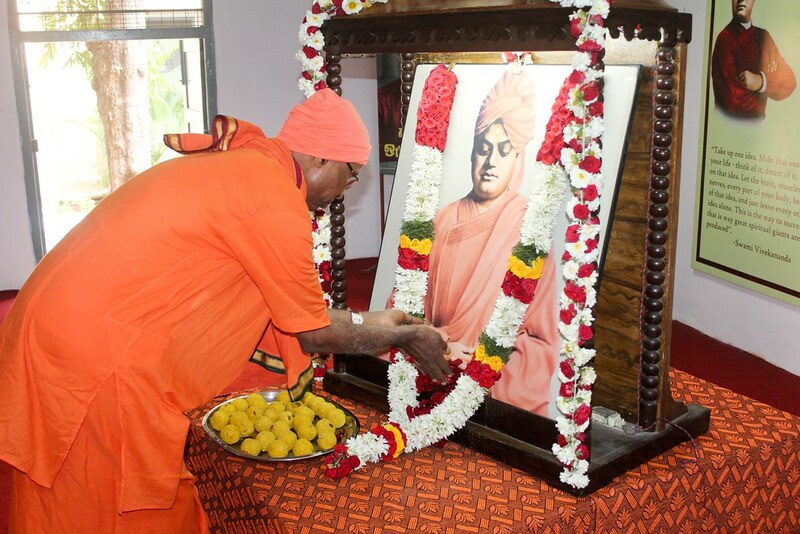 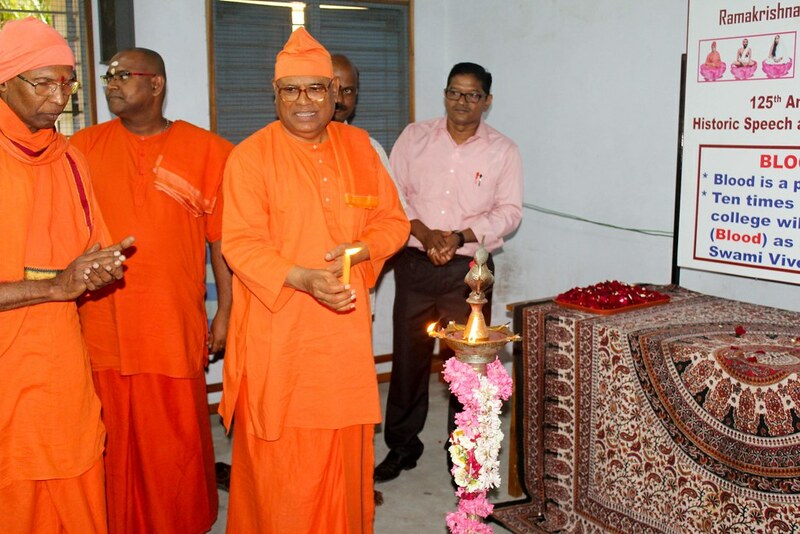 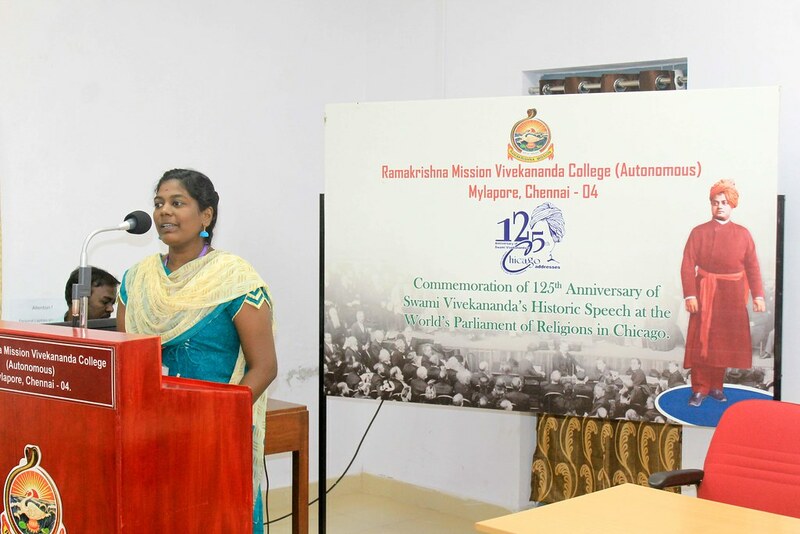 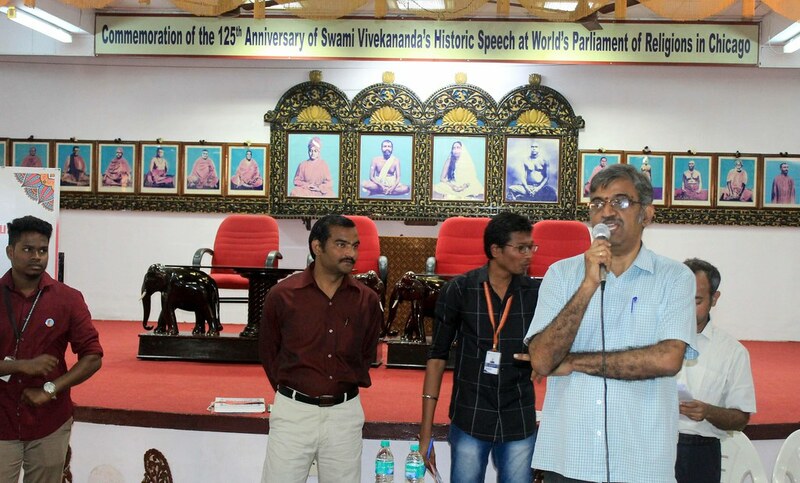 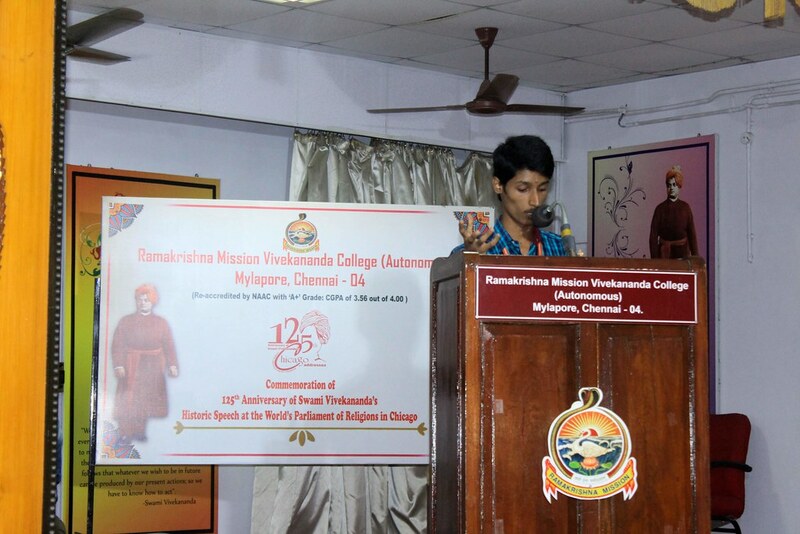 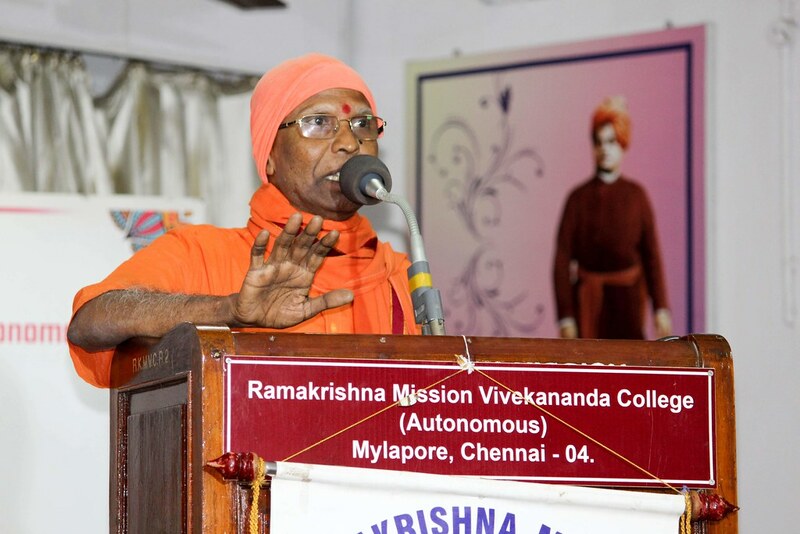 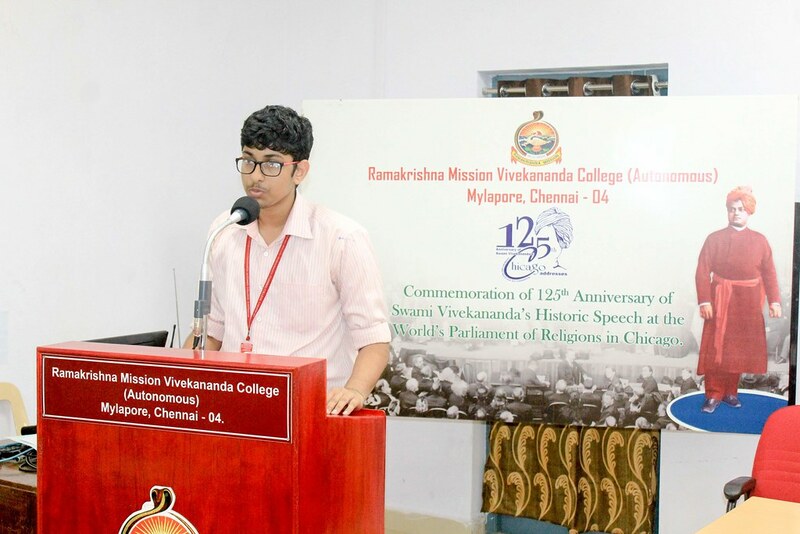 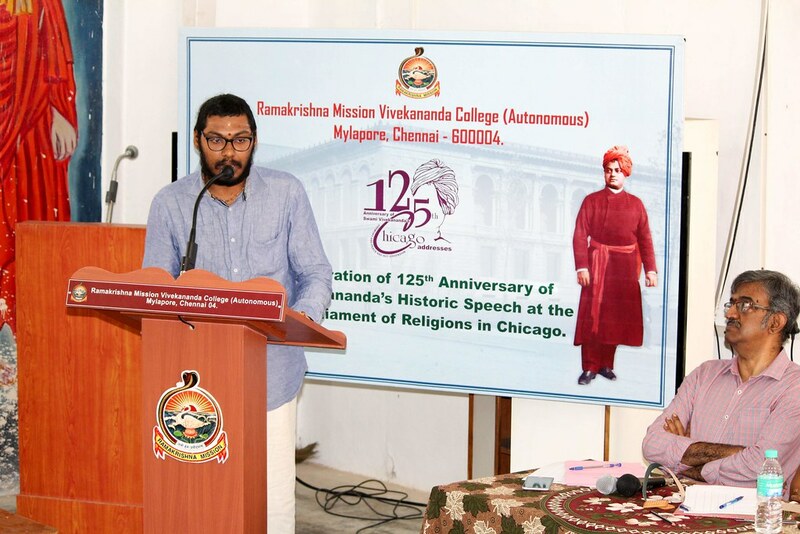 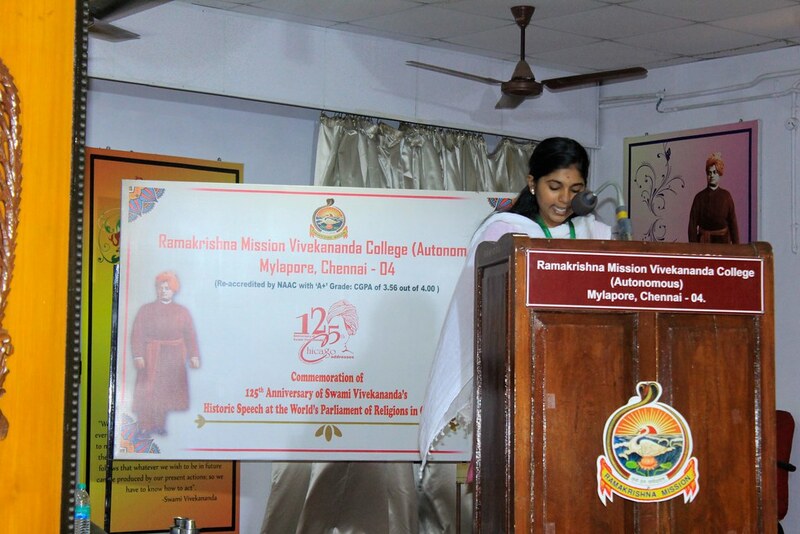 Ramakrishna Mission Vidyapith, Chennai commemorated the 125th Anniversary of Swami Vivekananda’s Chicago Addresses. 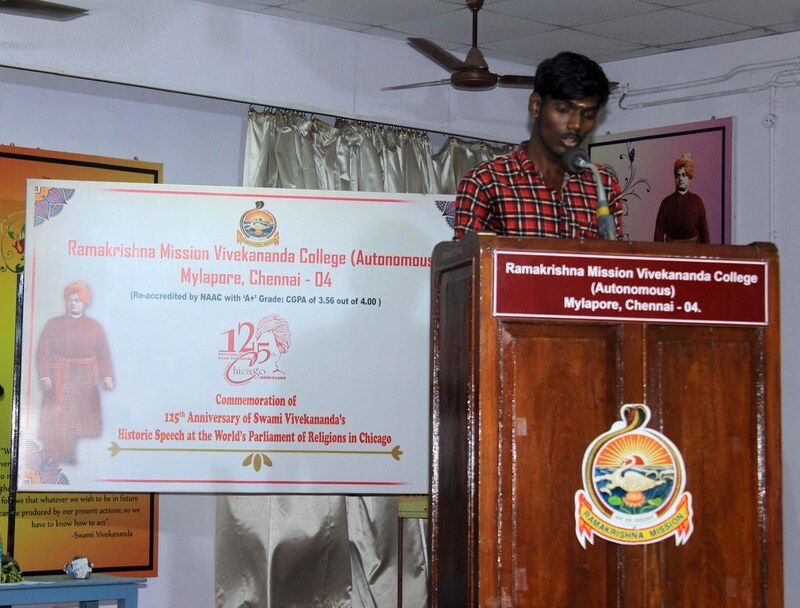 The celebration was held between 29 January to 06 February 2019. 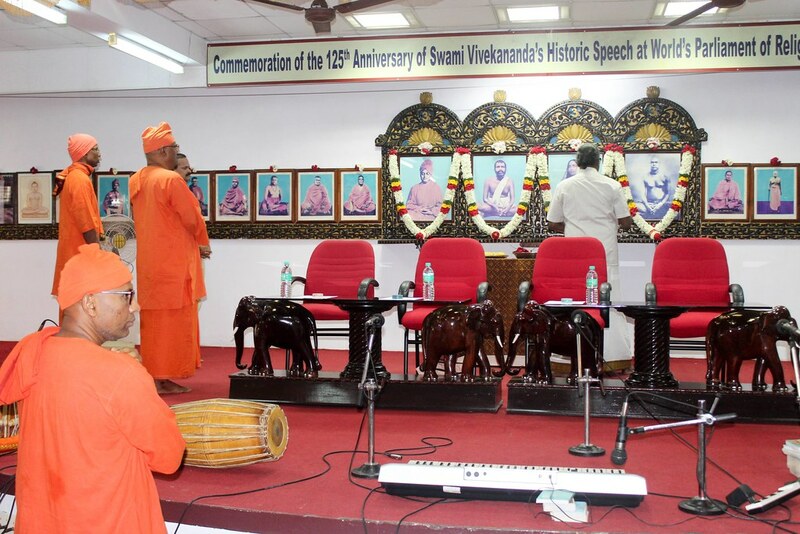 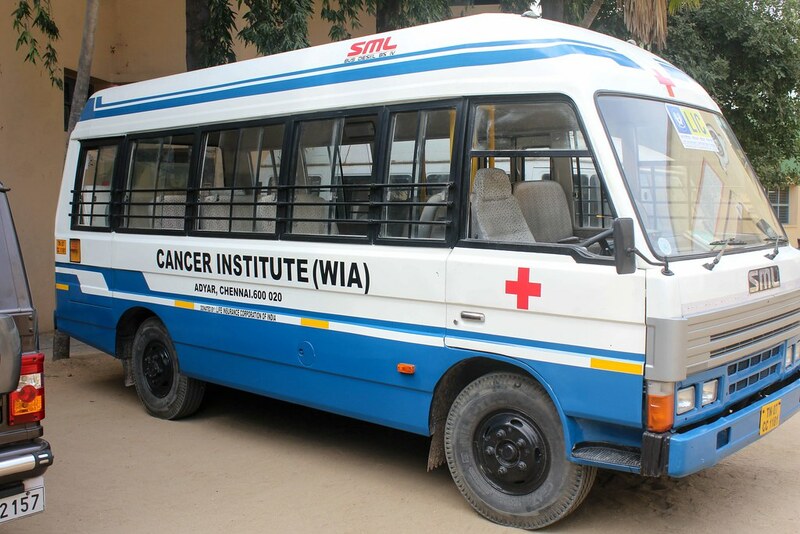 The Inaugural Session was held on 29 January 2019 . 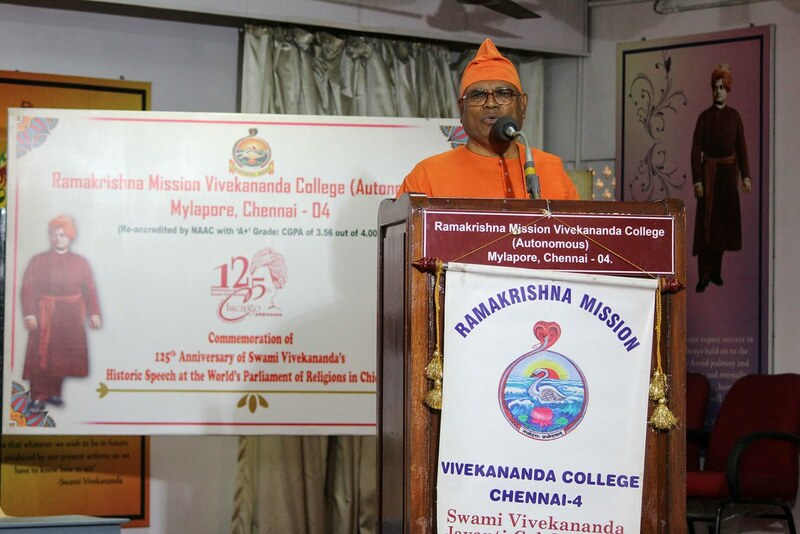 Swami Tyagarajananda, Adhyaksha, Ramakrishna Math, Nattarampalli presided over the function and delivered the Inaugural Address. 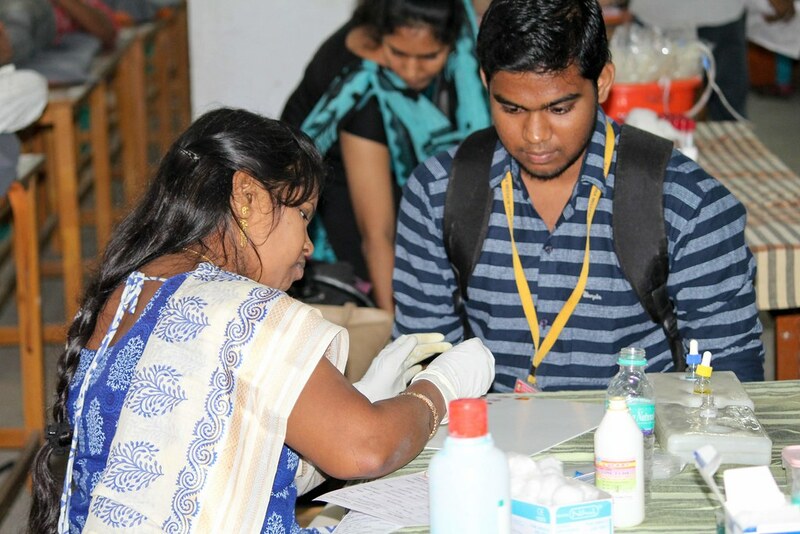 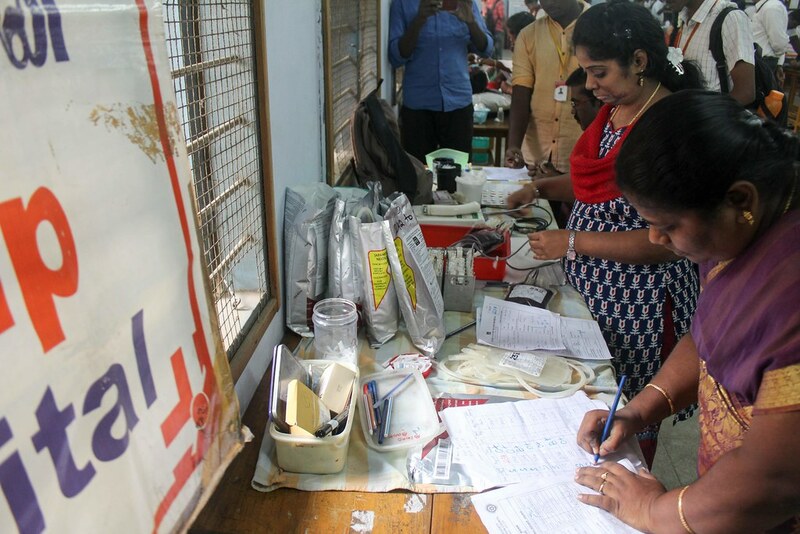 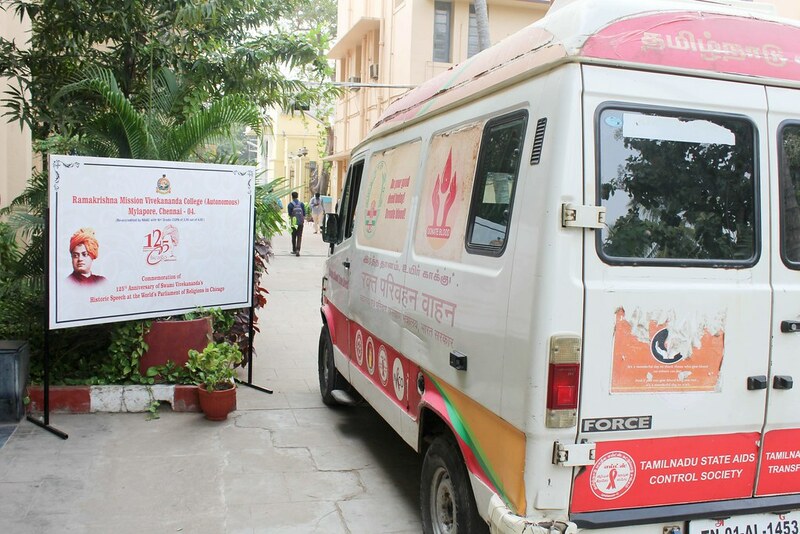 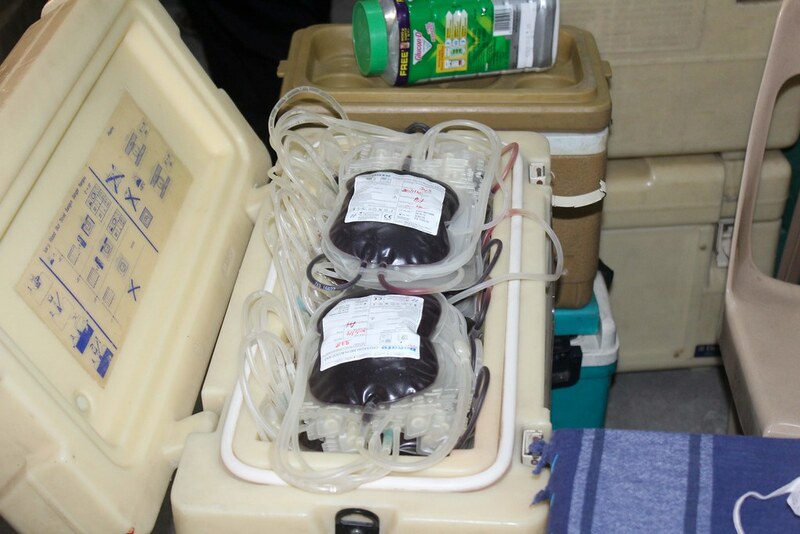 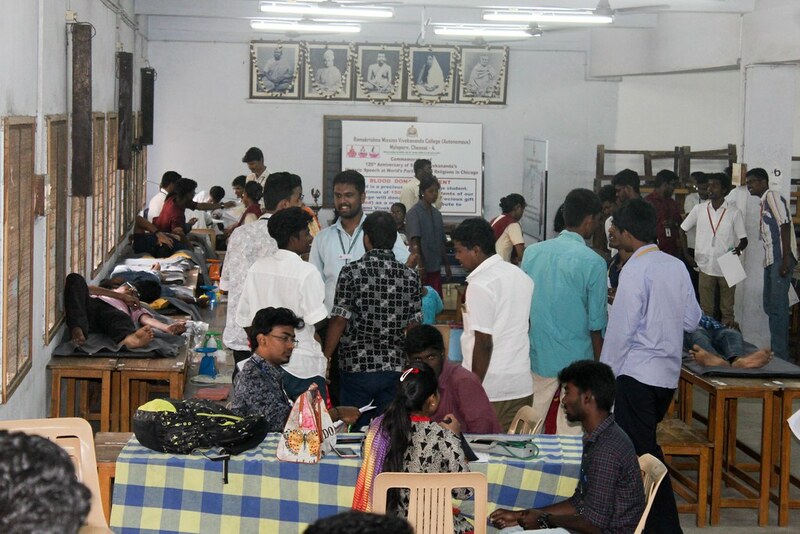 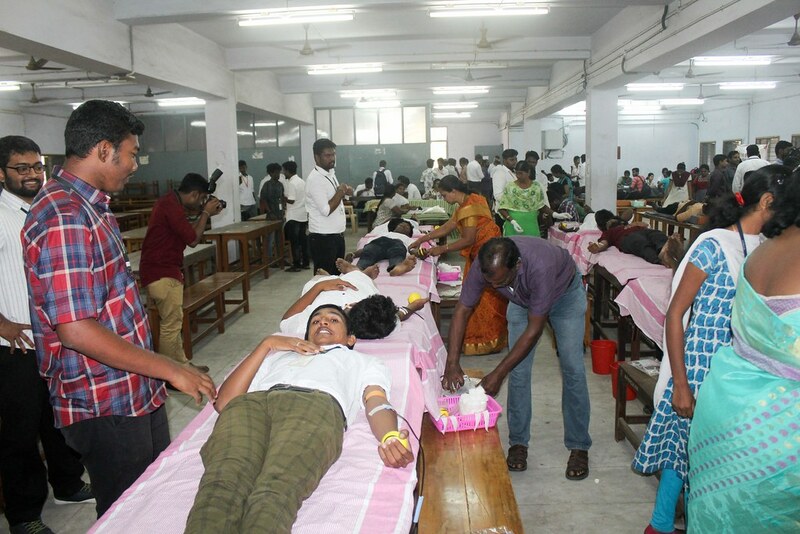 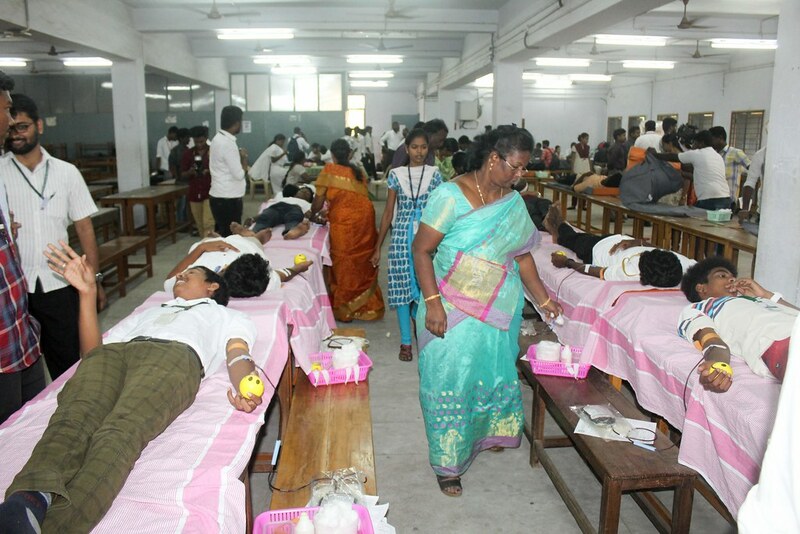 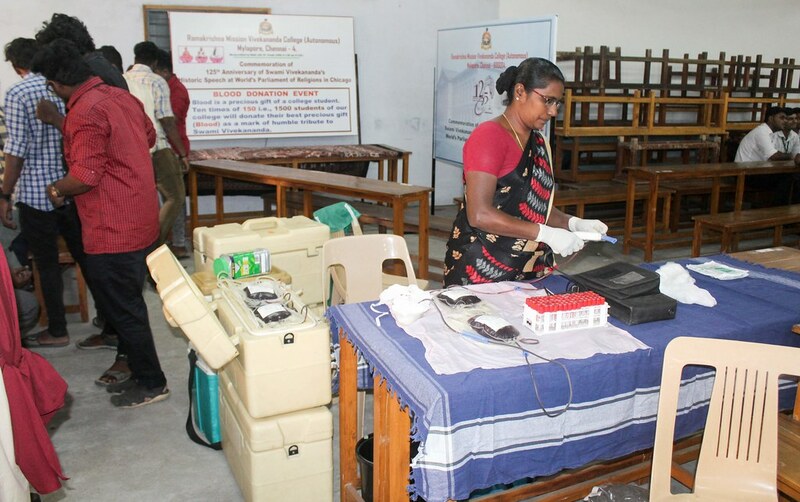 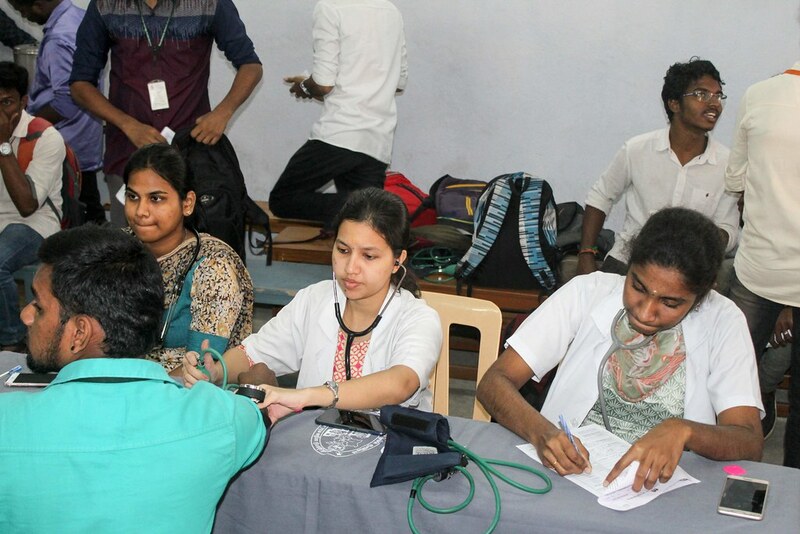 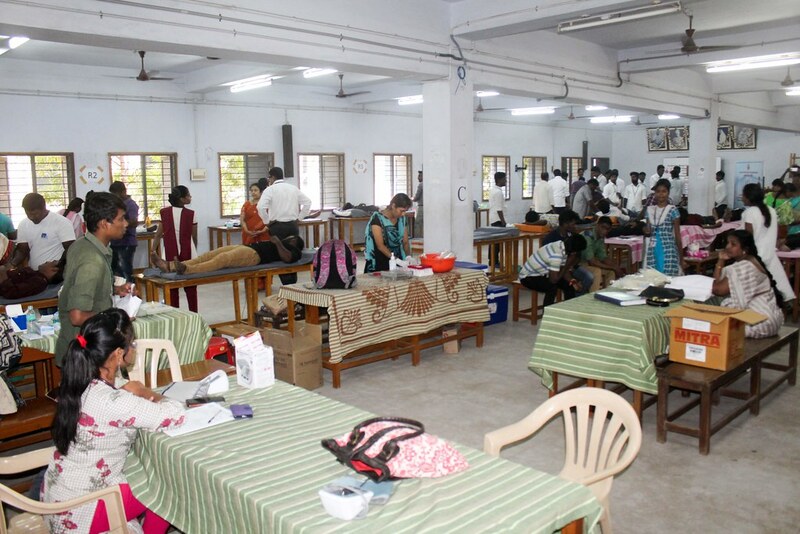 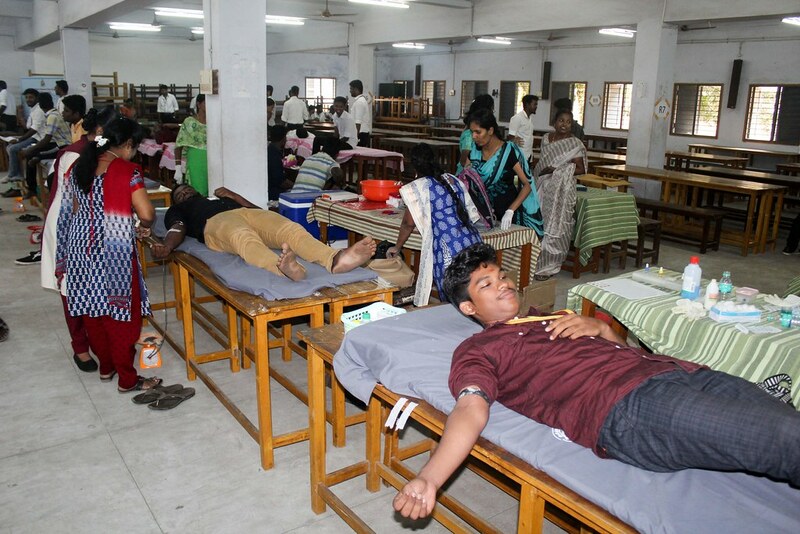 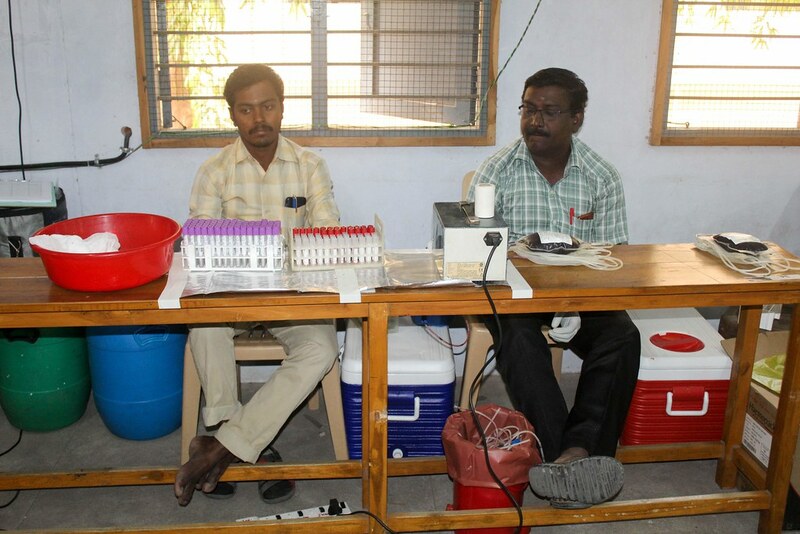 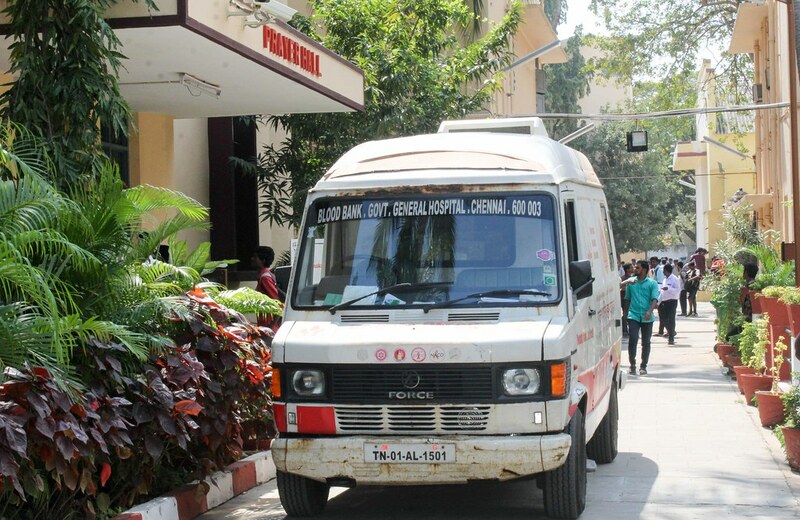 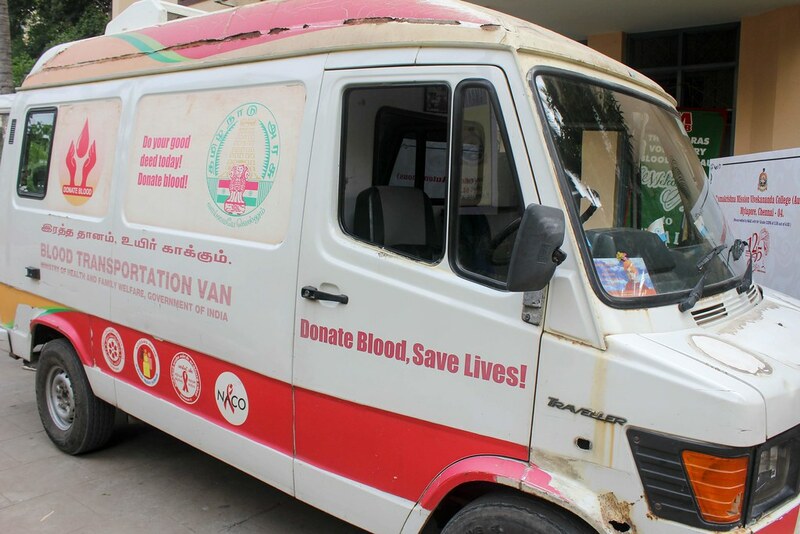 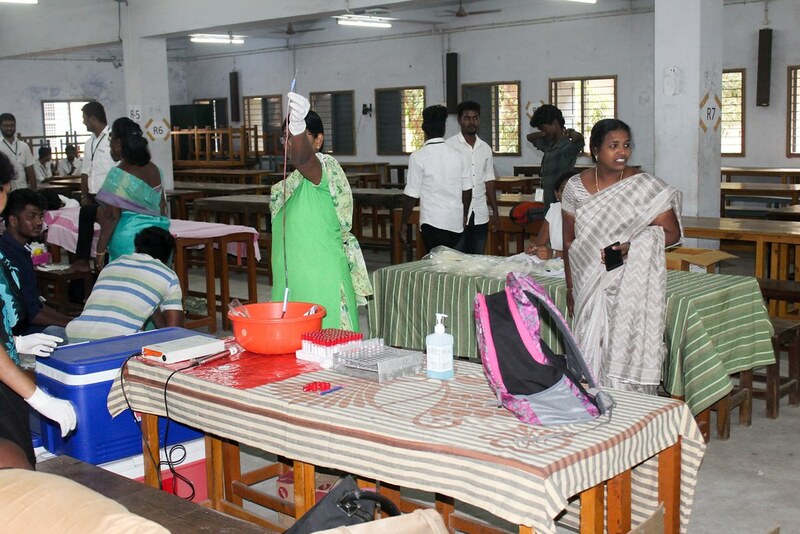 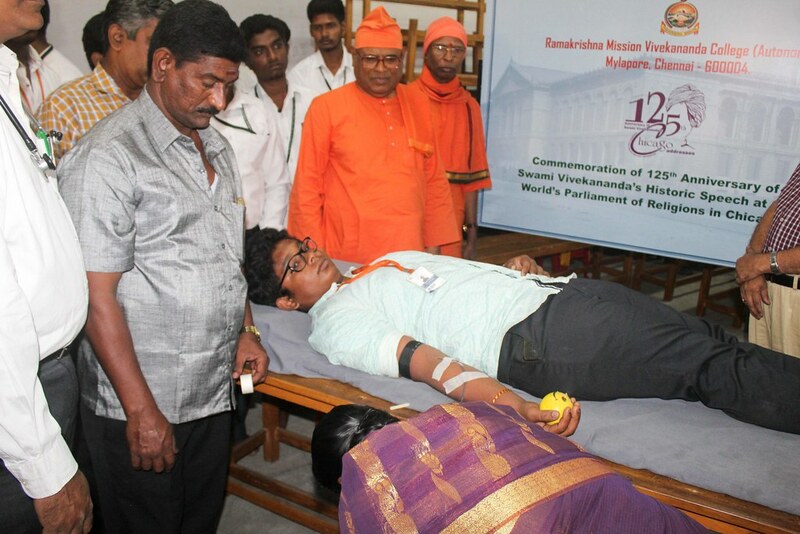 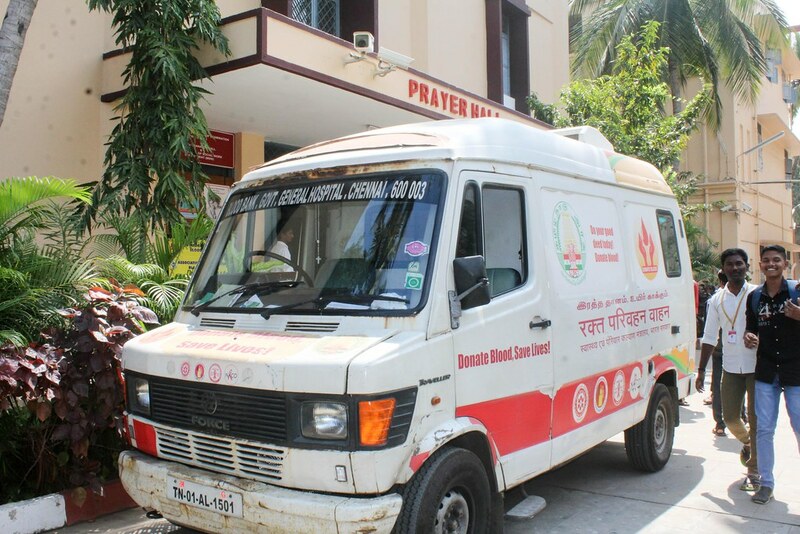 On this occasion, a total of 1448 students donated Blood. 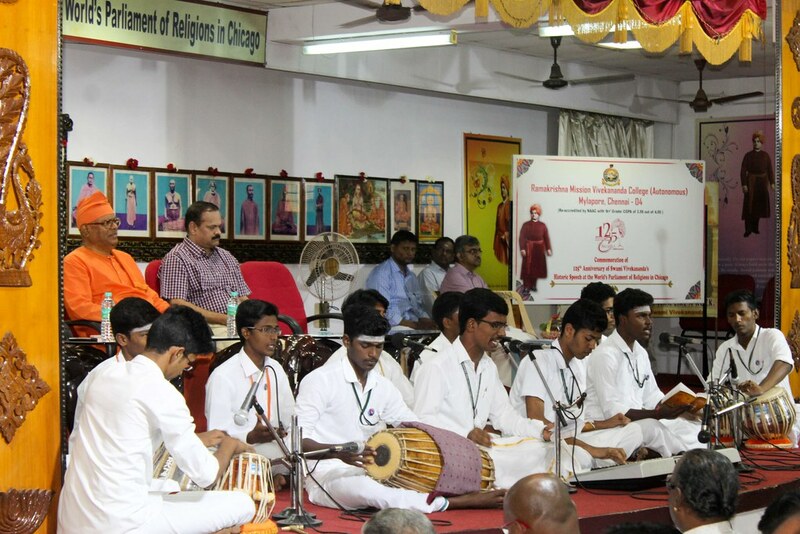 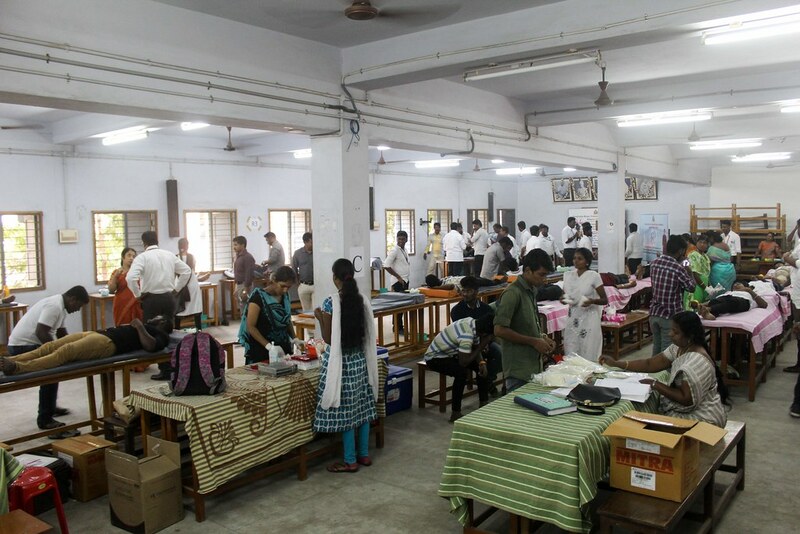 Several Inter-Collegiate Cultural Competitions were also organized. 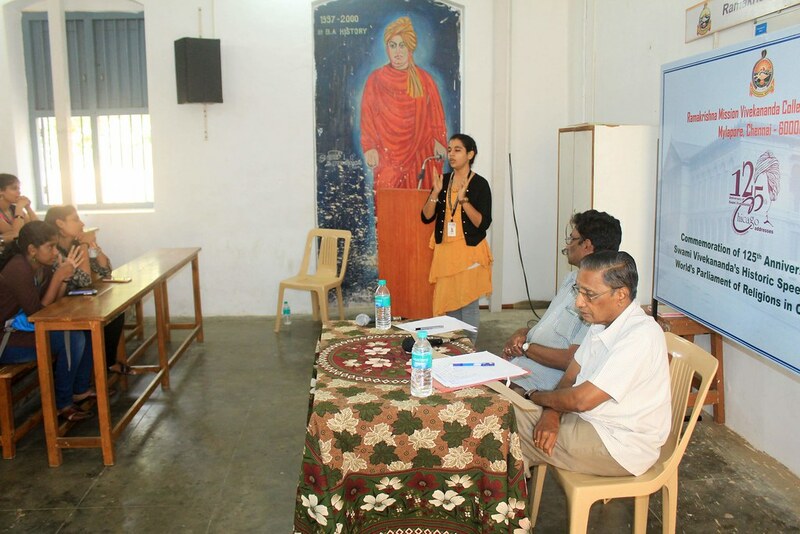 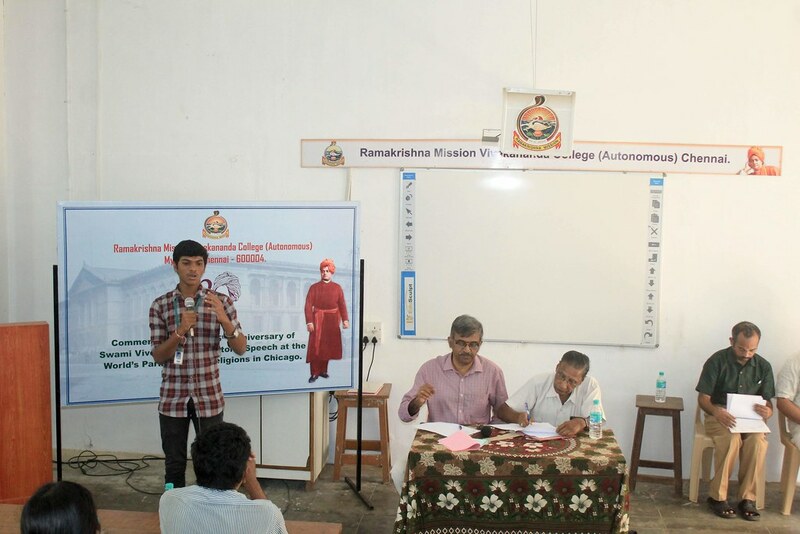 The Valedictory session and Prize Distribution was held on 06 February. 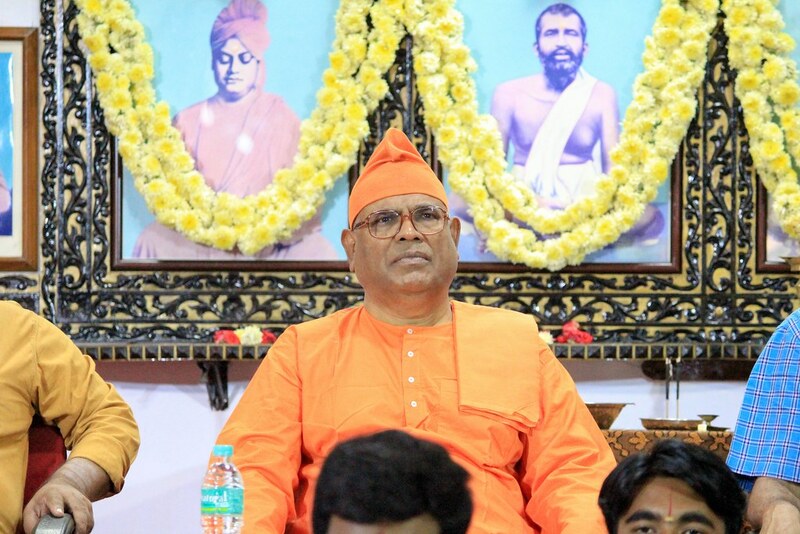 Dr. T.P. 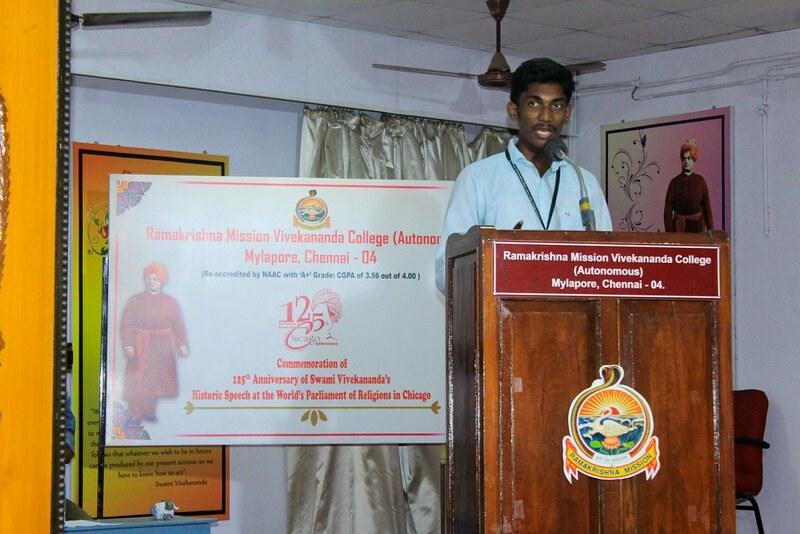 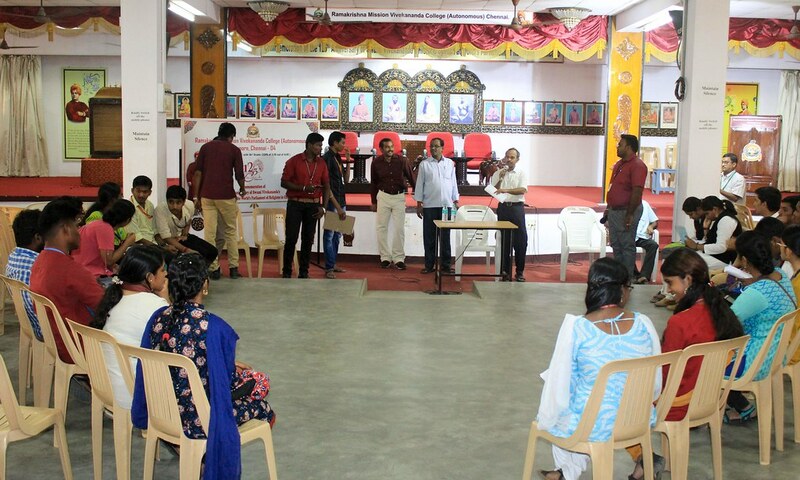 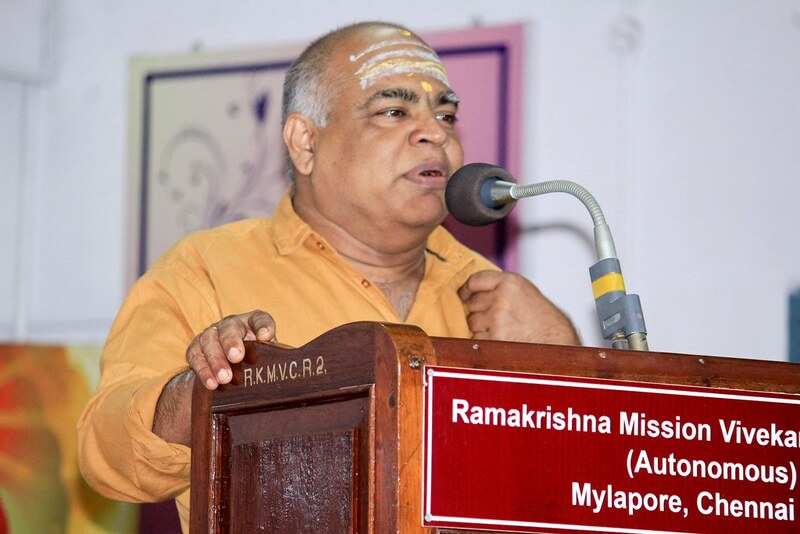 Radhakrishnan, Principal of the Madras Sanskrit College and the Syndicate Member of the University of Madras presided over the function, distributed the prizes and delivered the Valedictory Address. 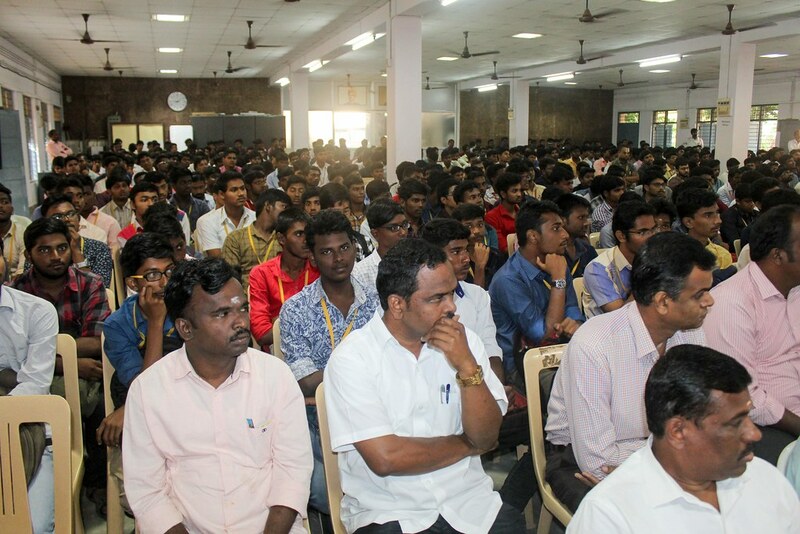 More than 5,000 students attended the events.